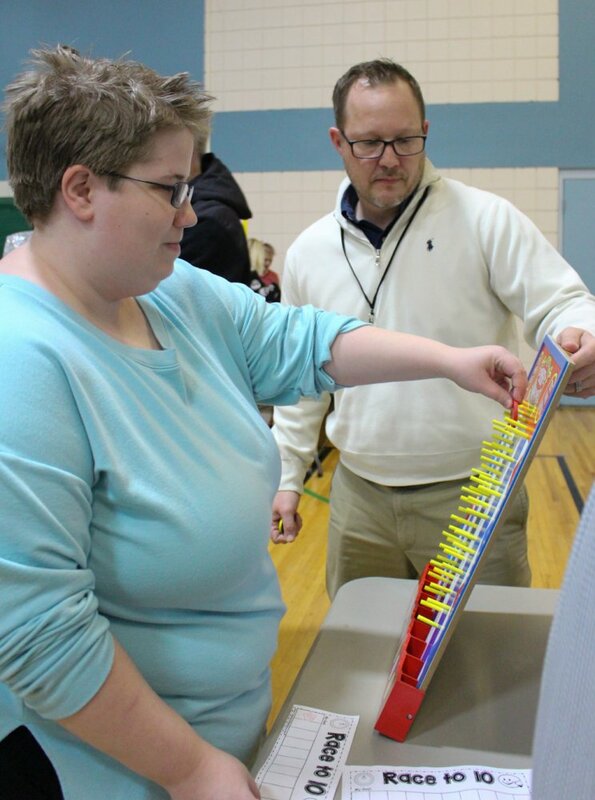 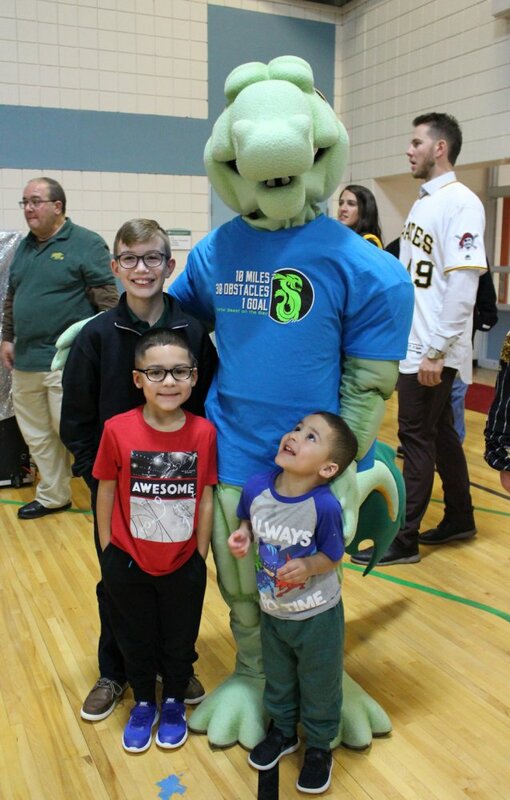 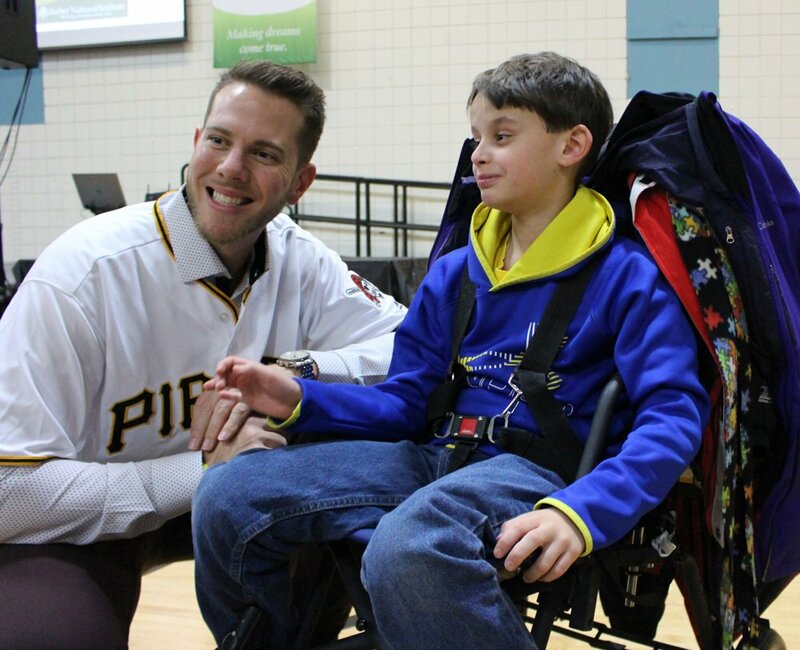 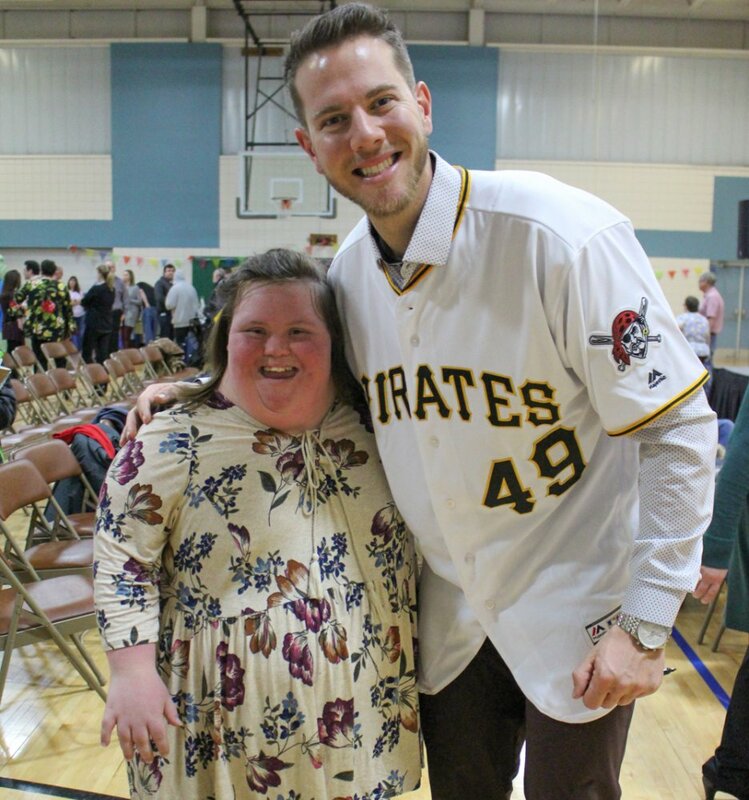 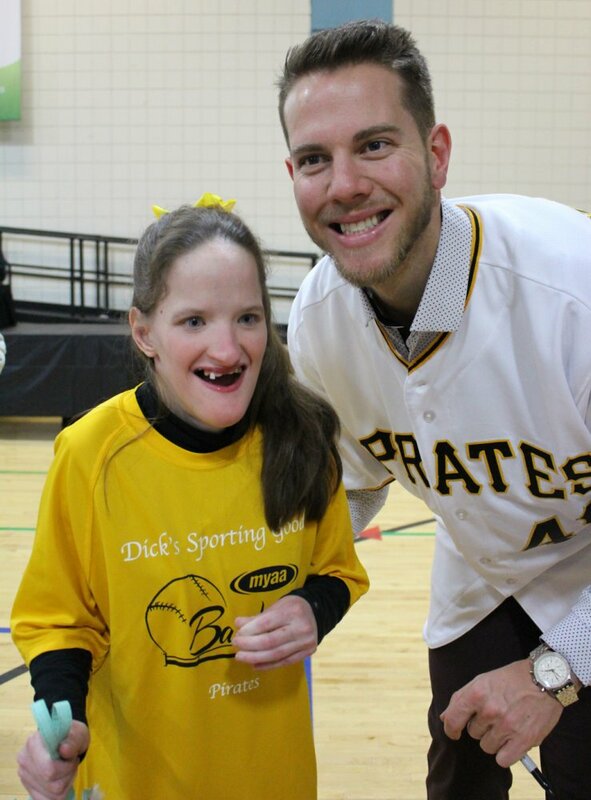 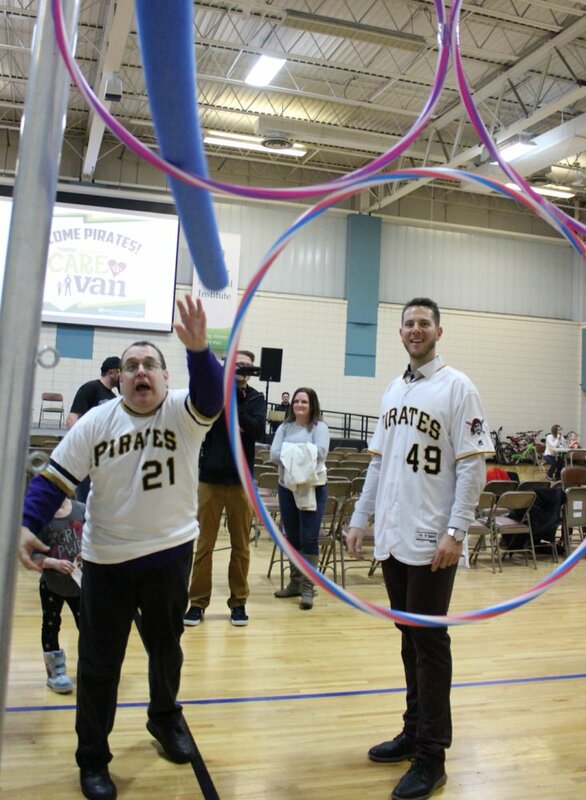 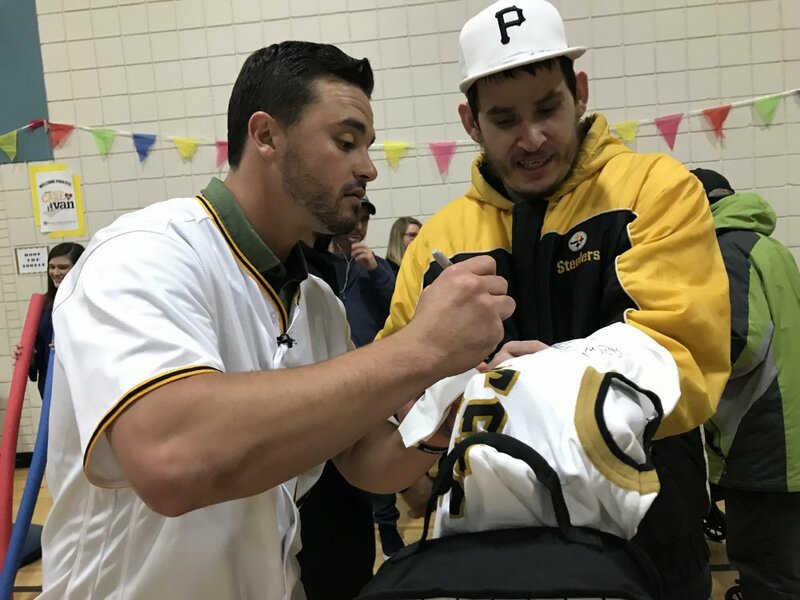 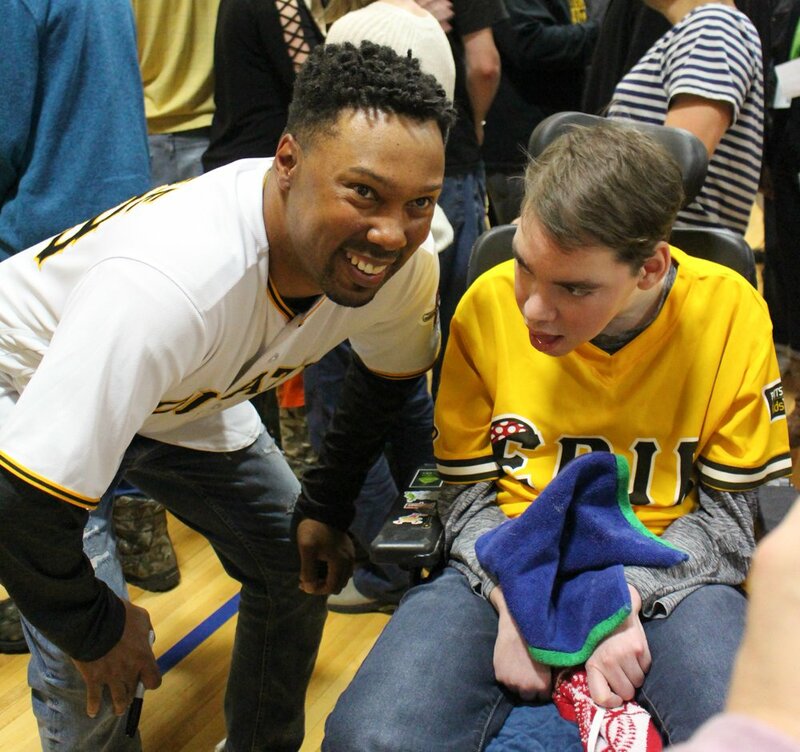 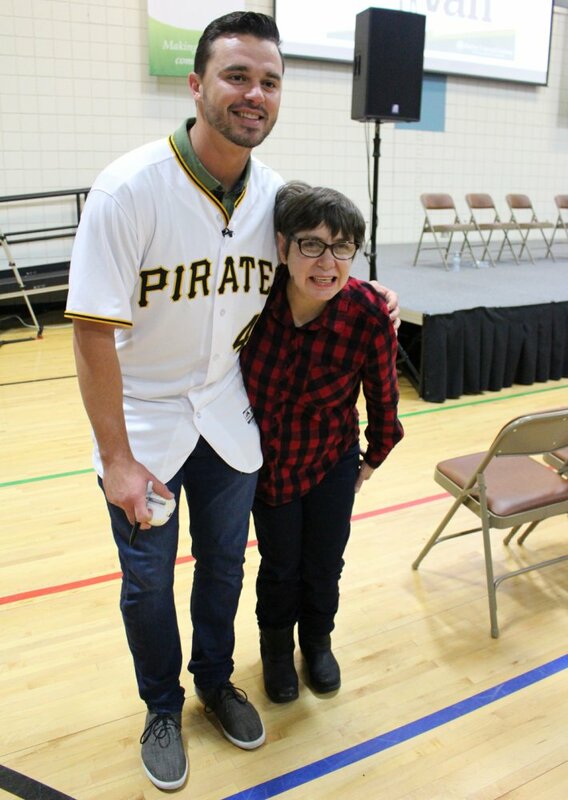 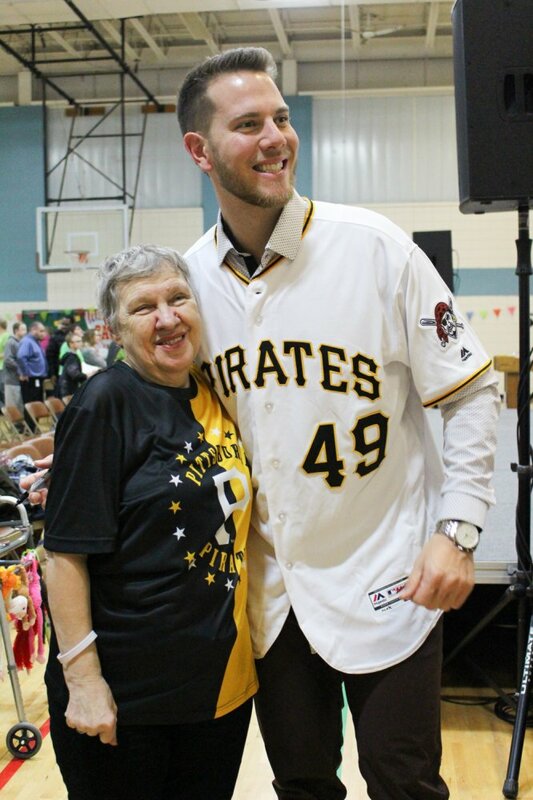 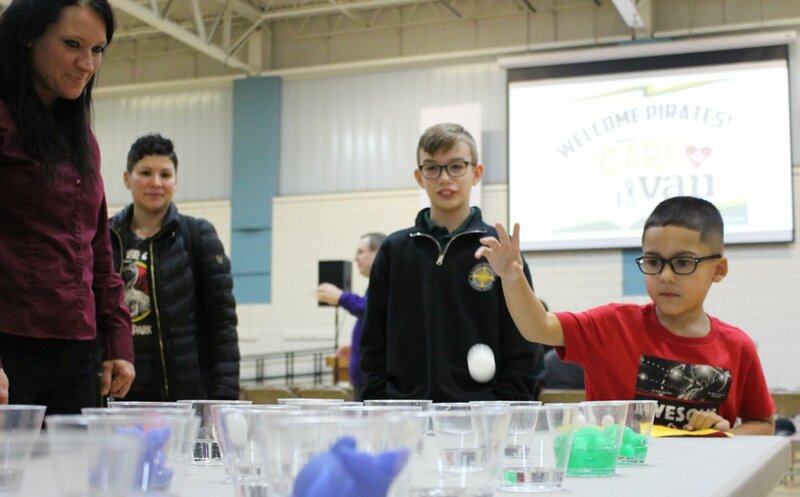 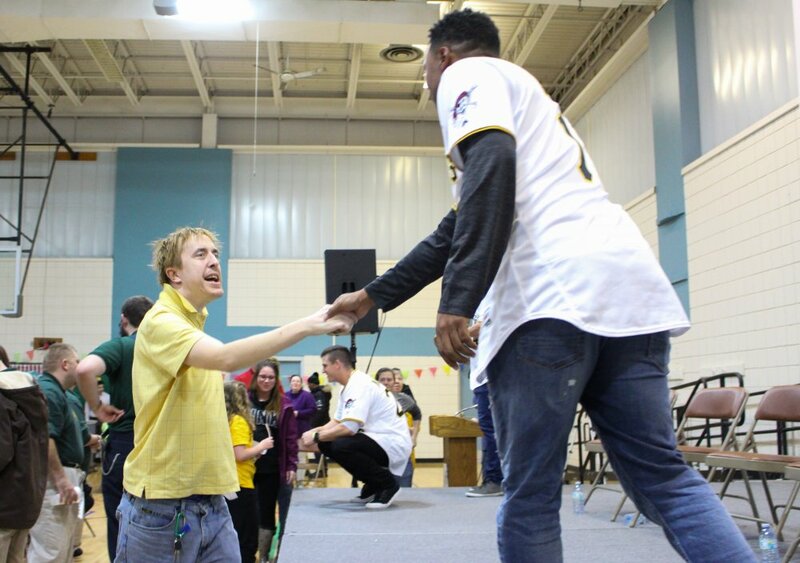 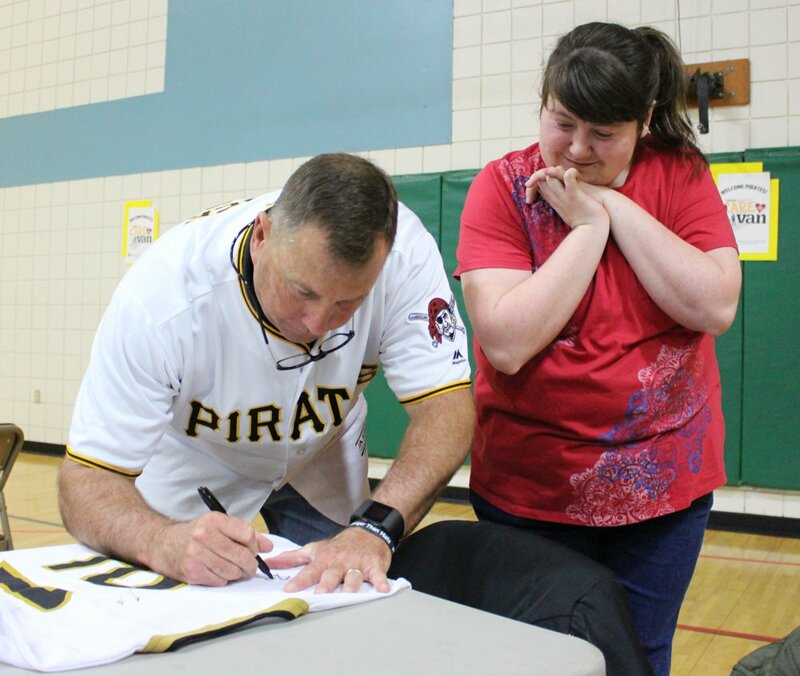 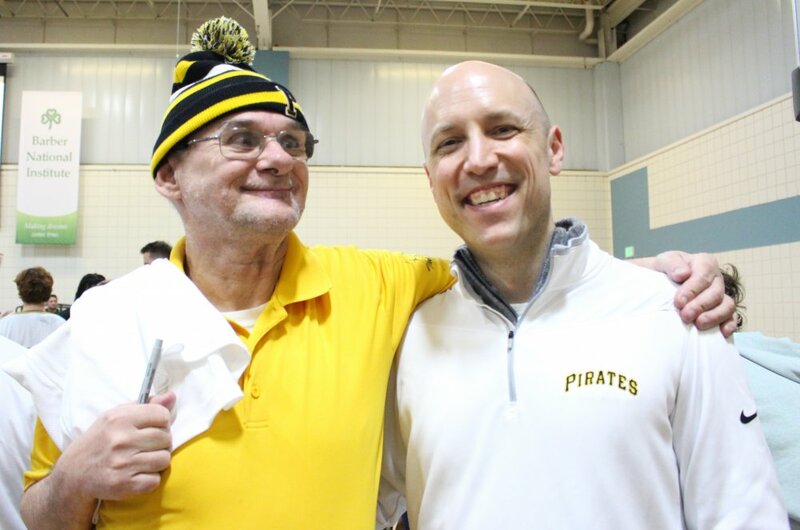 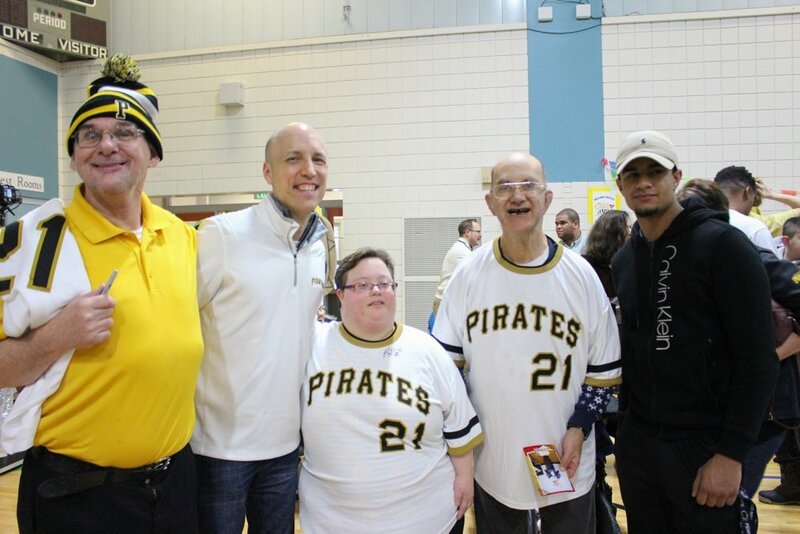 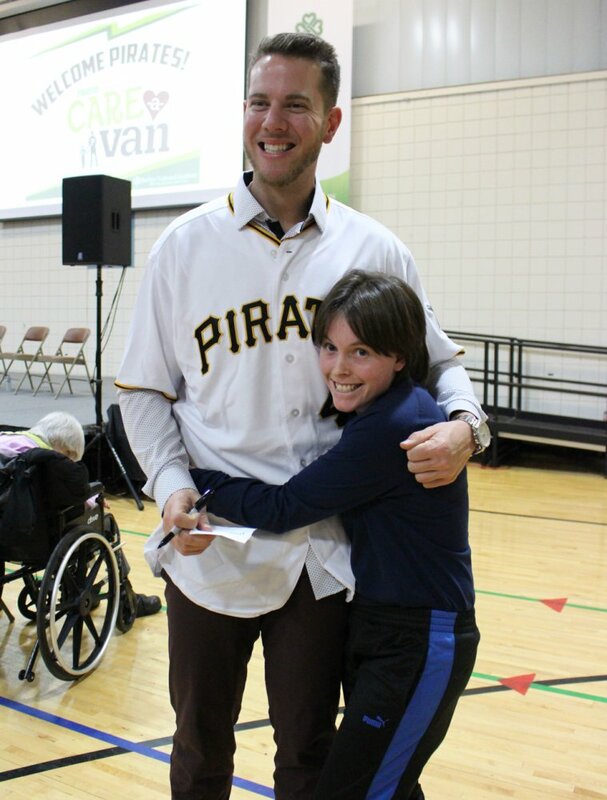 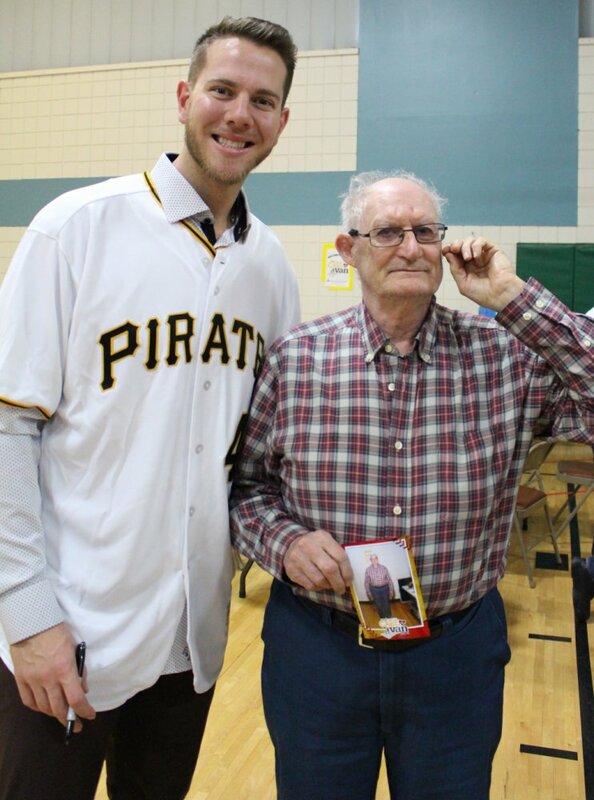 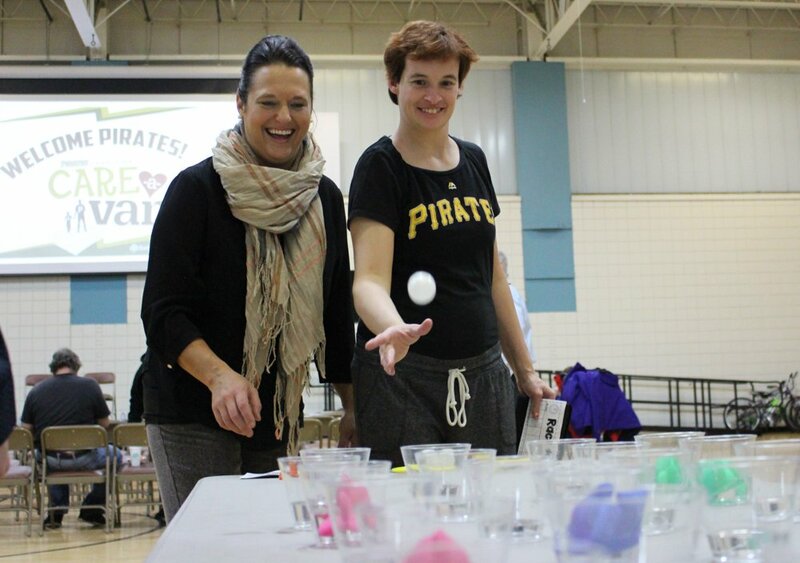 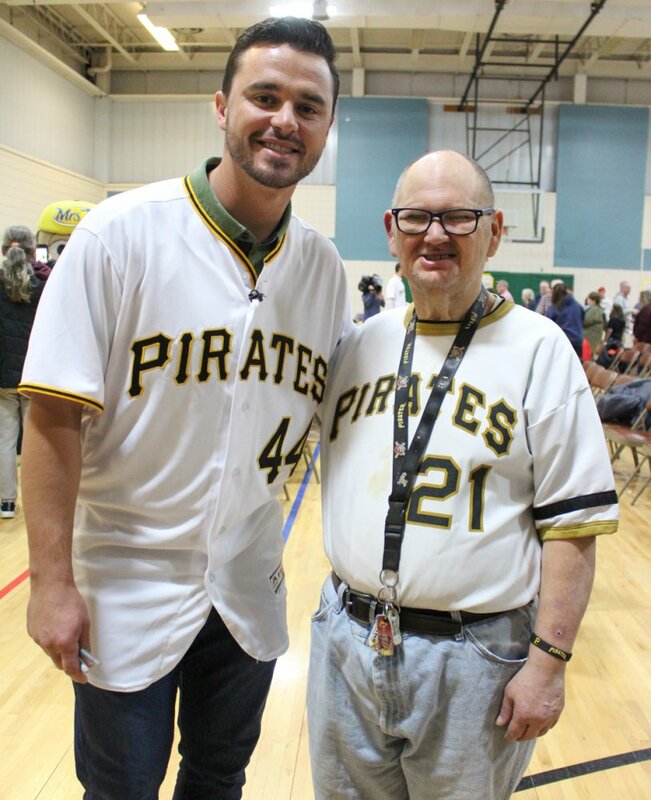 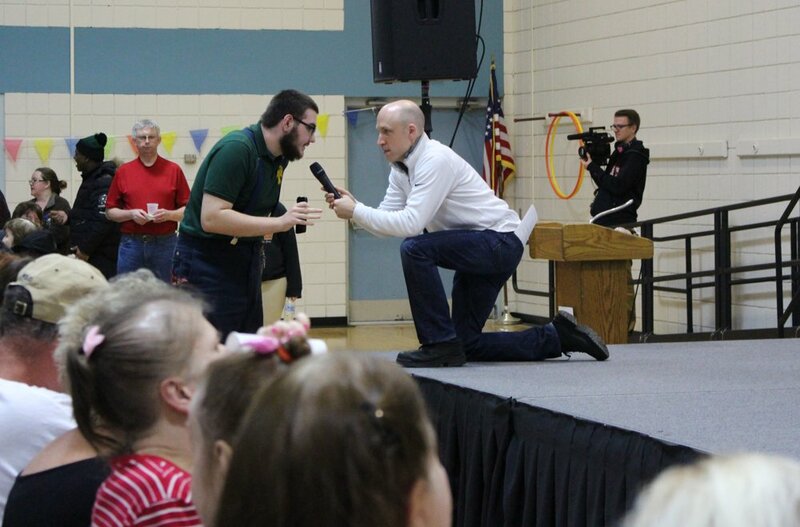 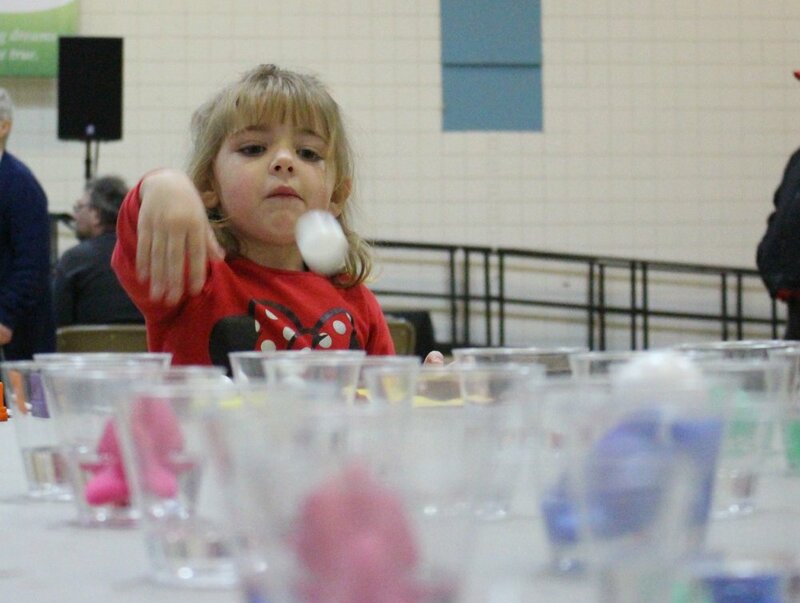 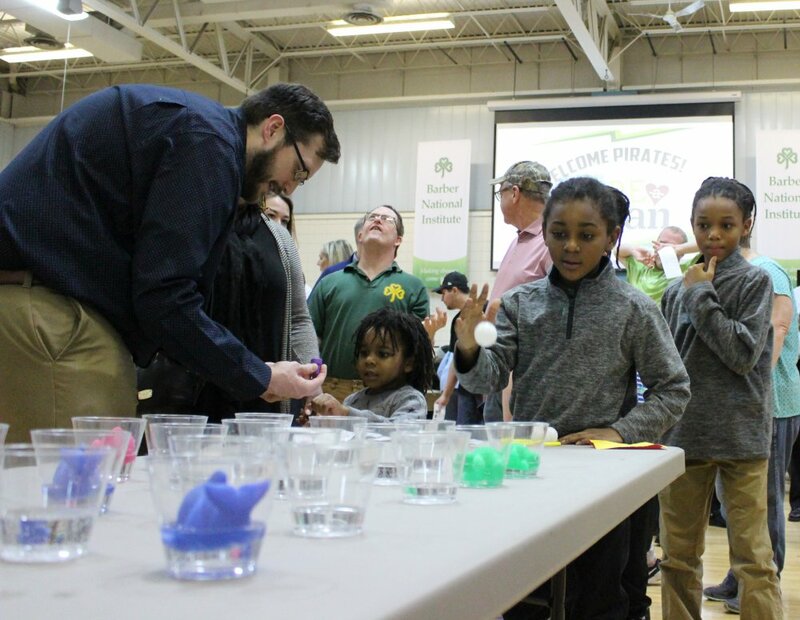 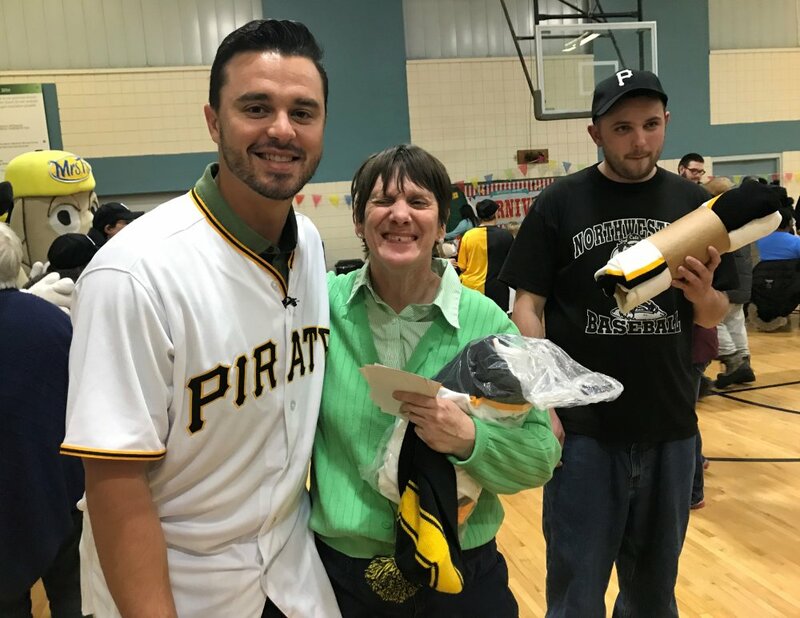 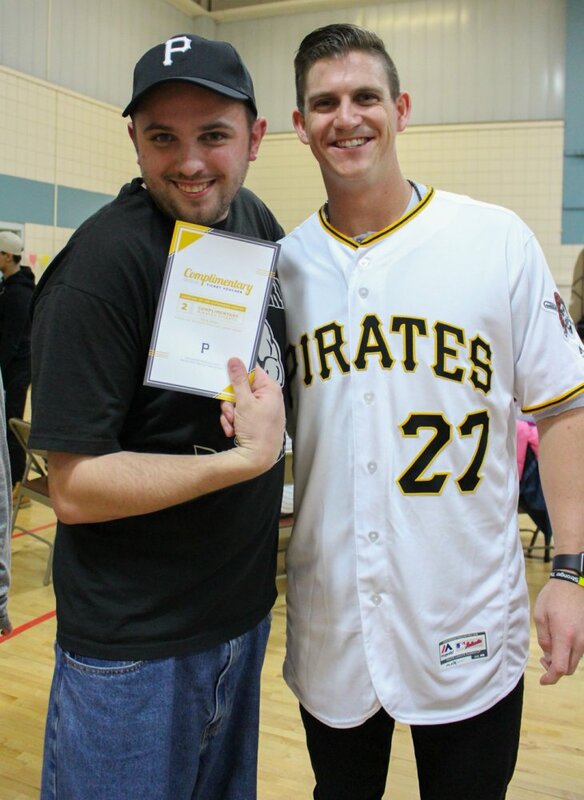 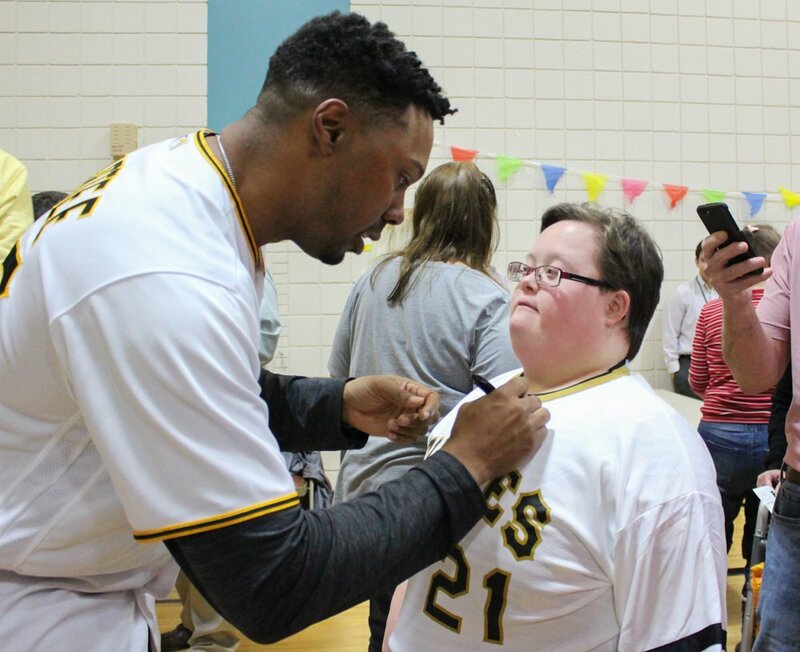 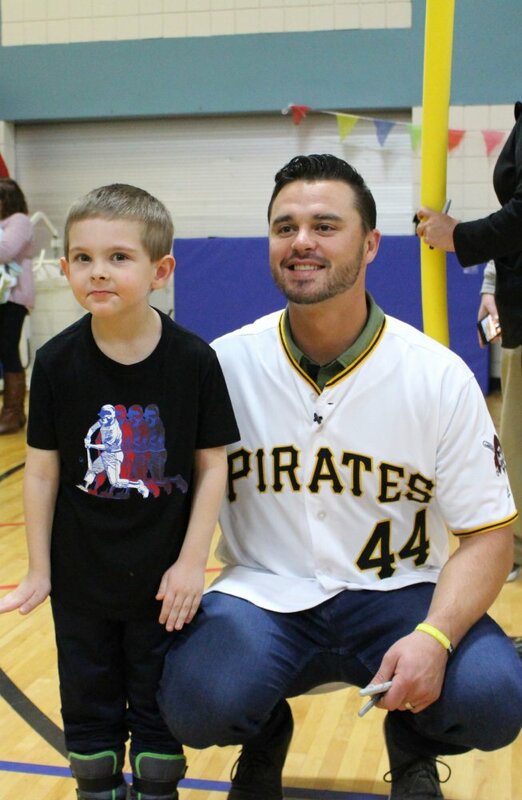 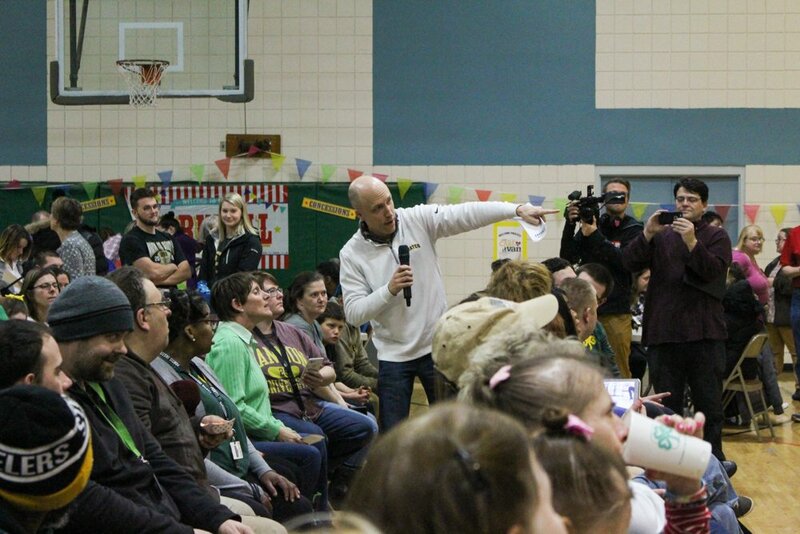 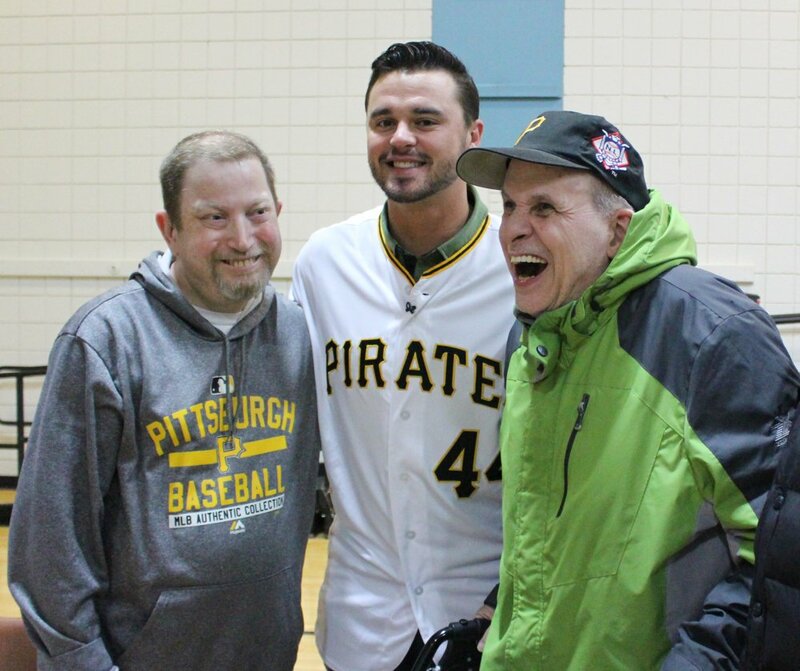 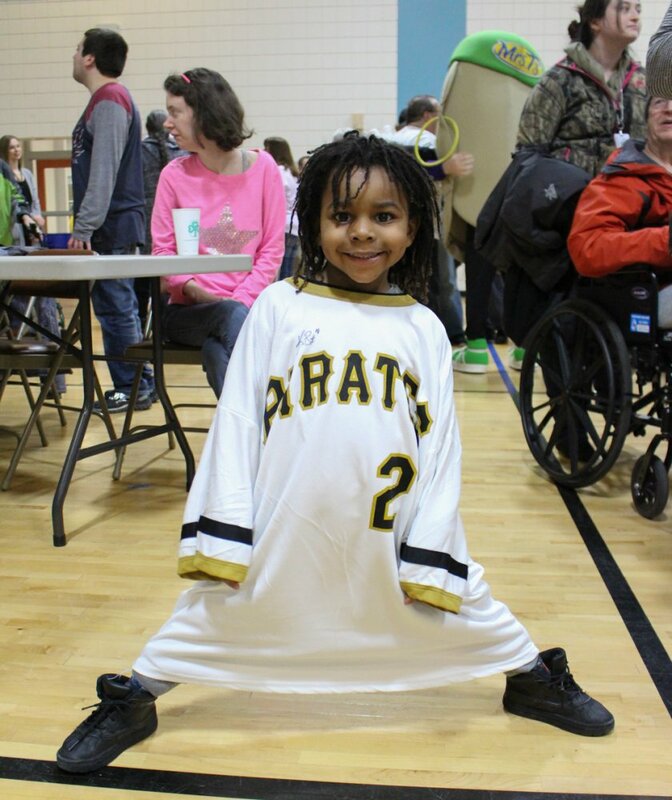 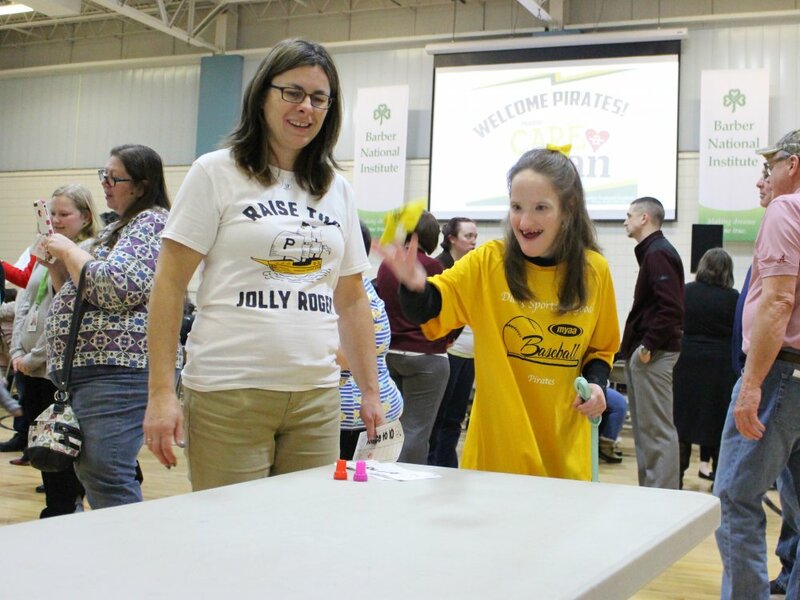 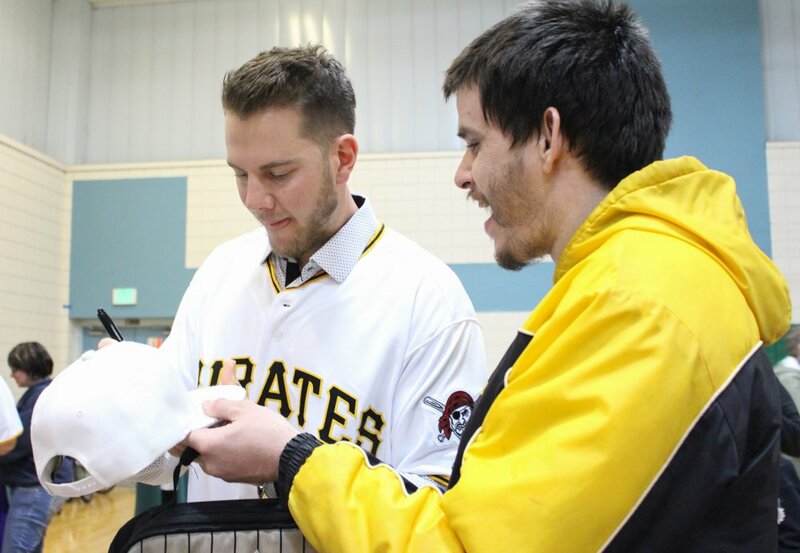 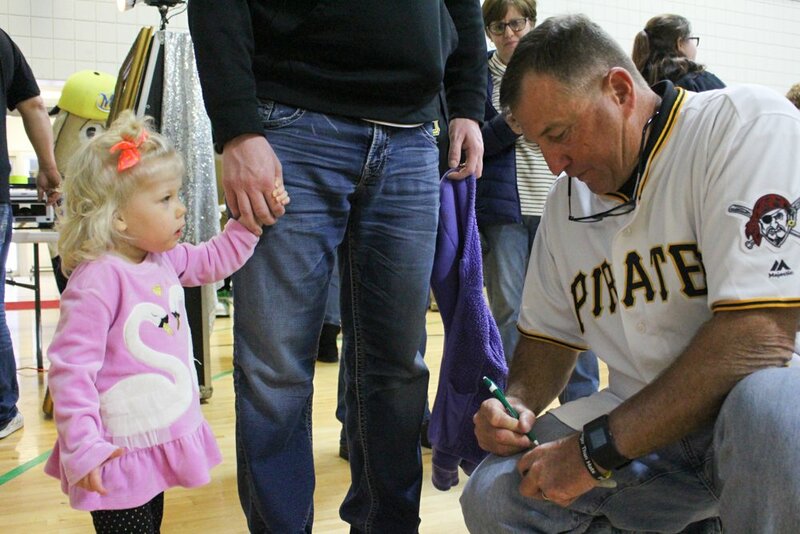 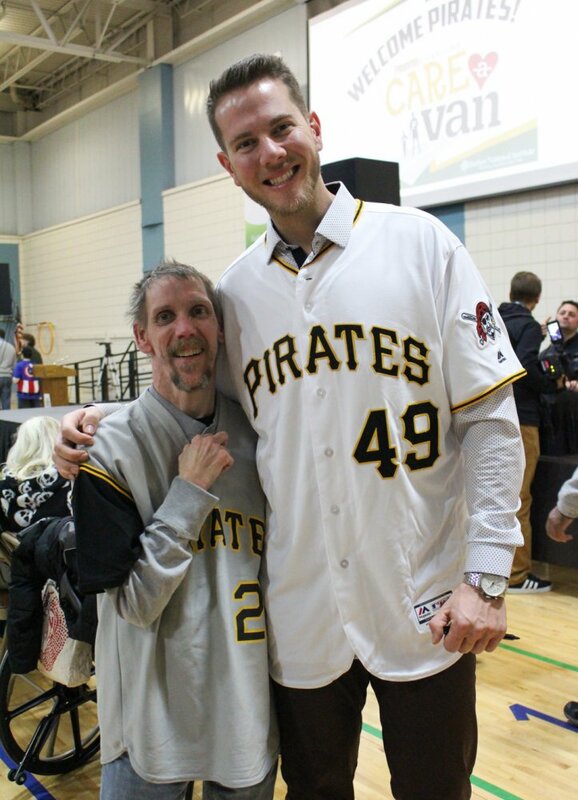 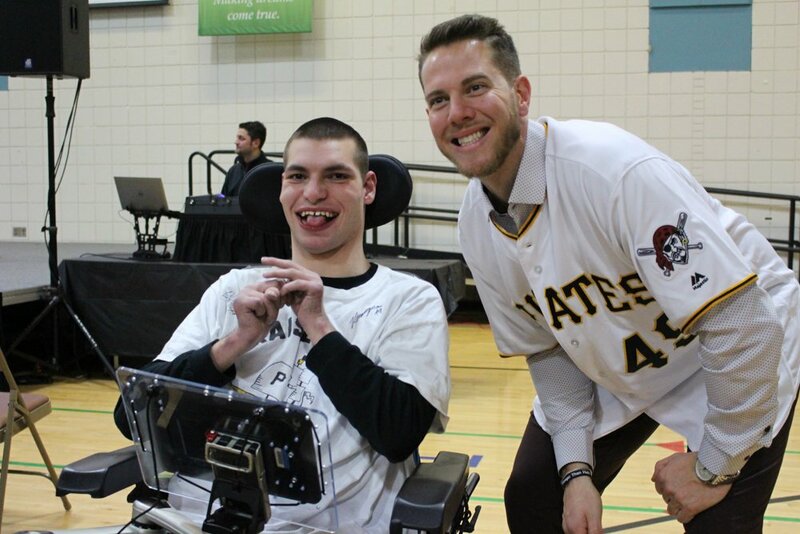 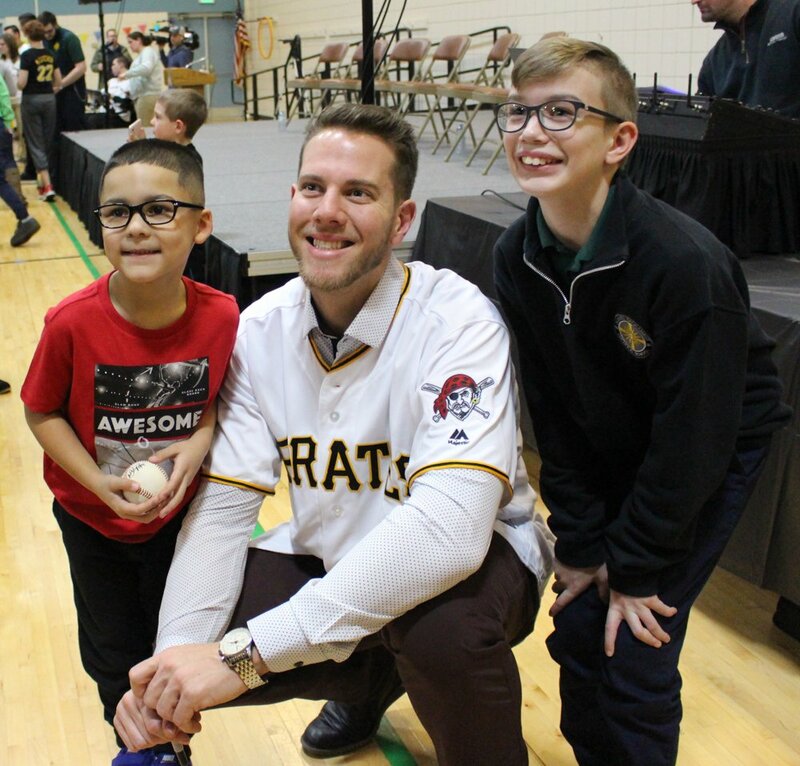 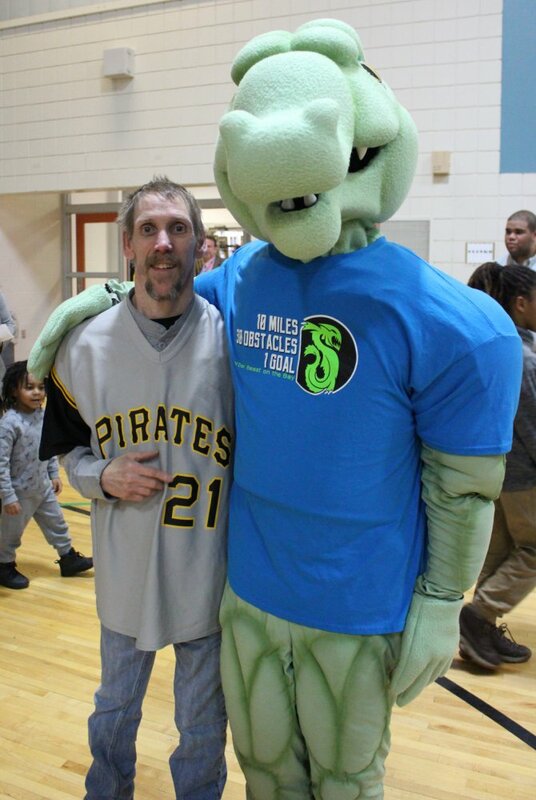 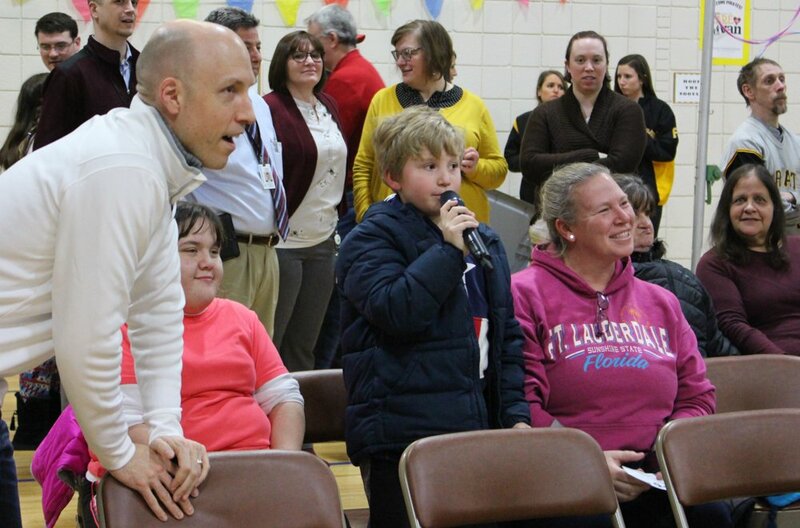 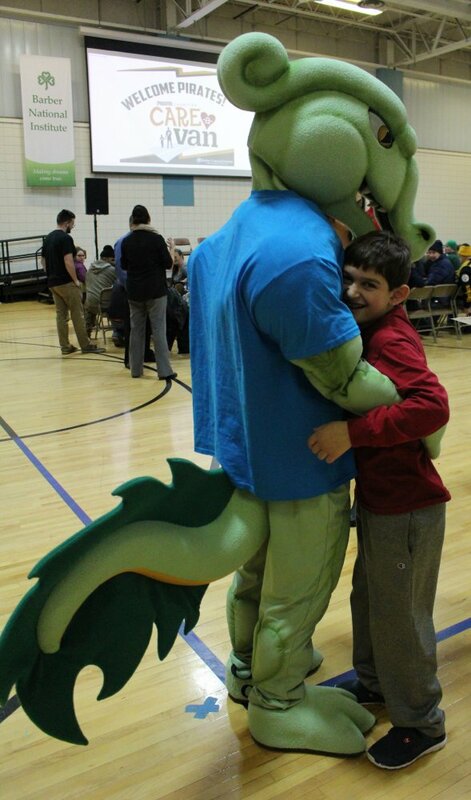 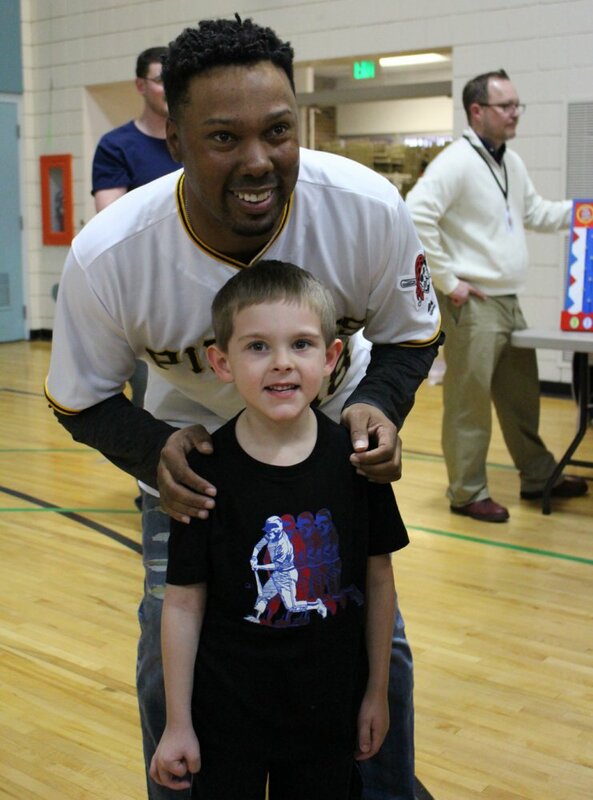 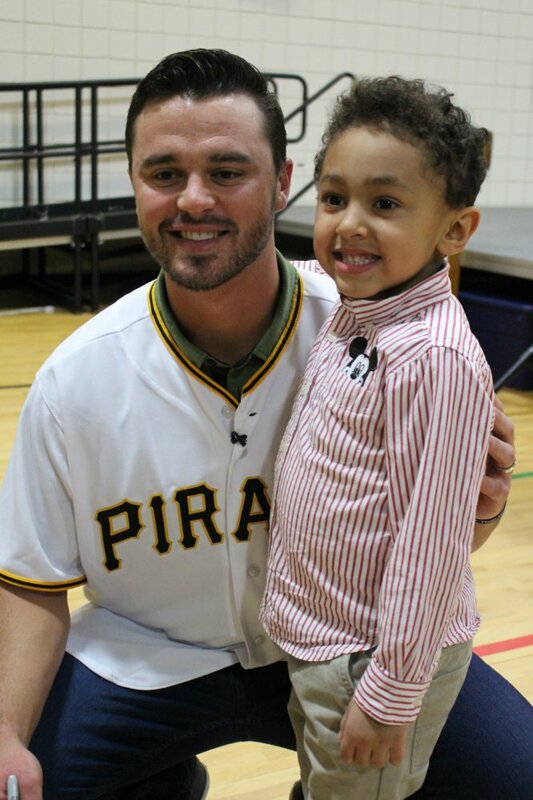 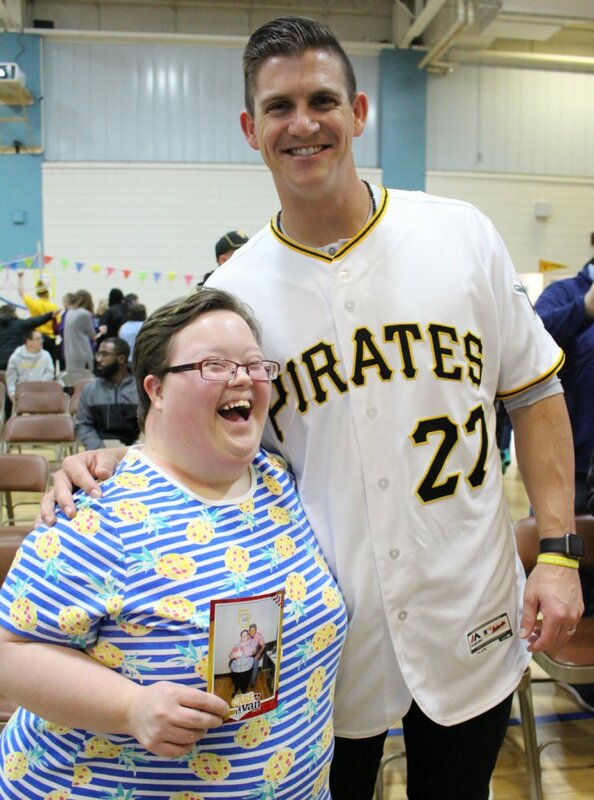 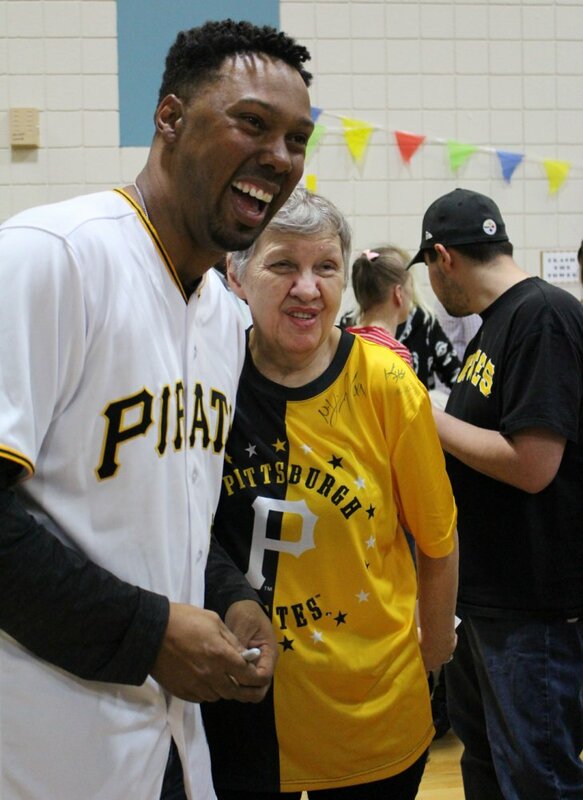 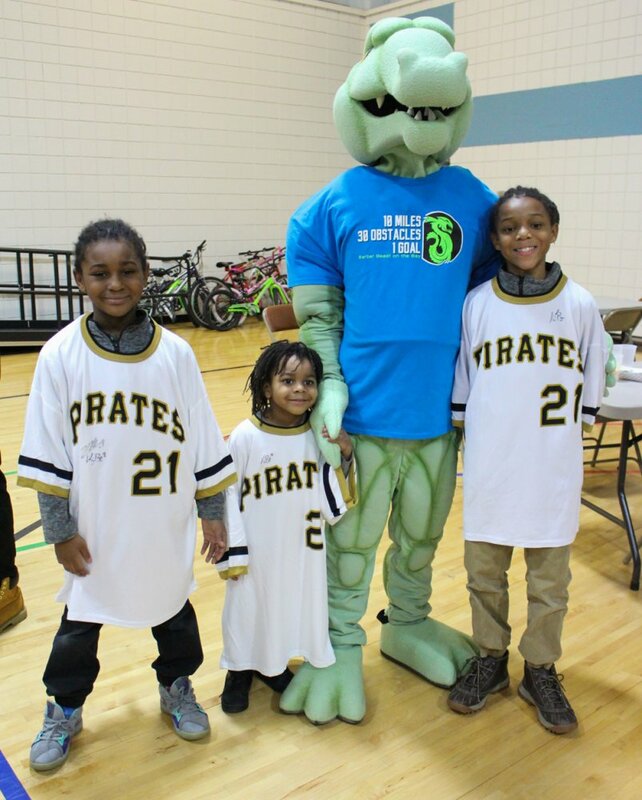 The Pittsburgh Pirates hit a grand slam with a visit with our students, adults and families on Wednesday, Jan. 23. 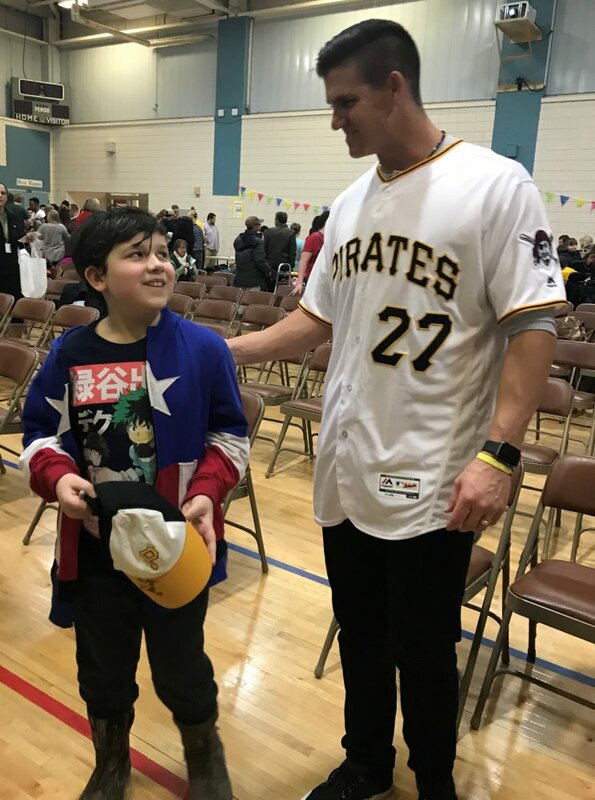 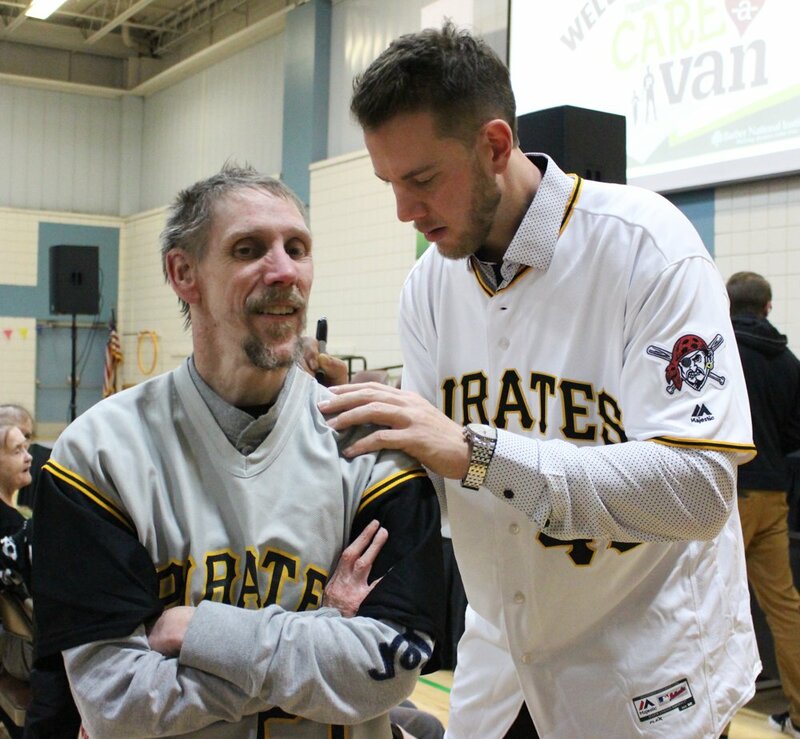 The Pirates Care-A-Van stopped at the Barber National Institute during a swing through Erie to talk baseball and meet with fans. 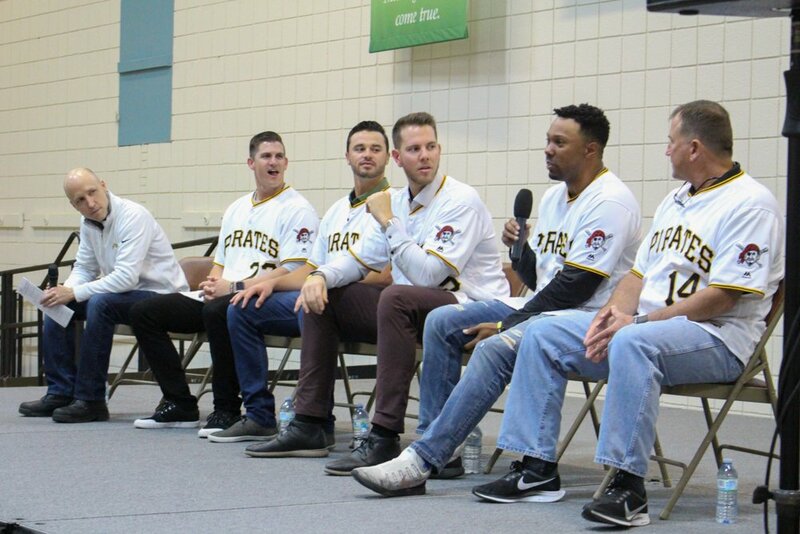 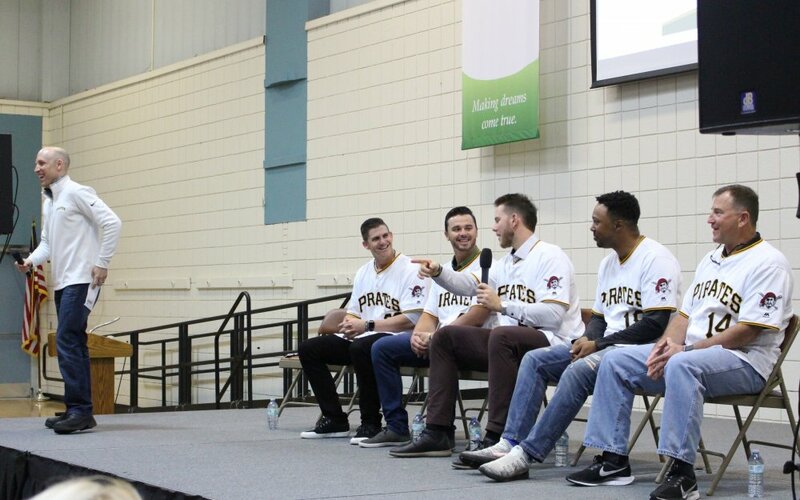 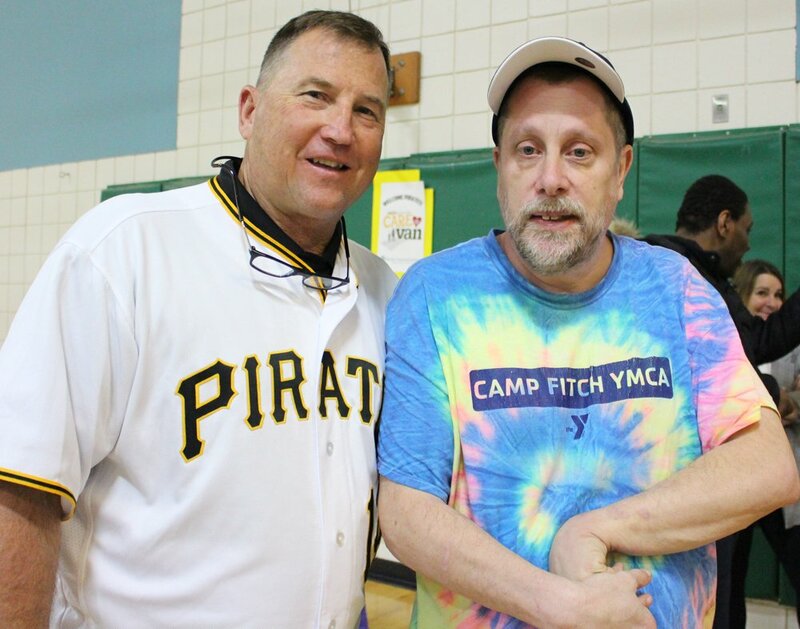 The event began with a Q & A with Pirates players and coaches Nick Kingham, Kevin Kramer, Kevin Newman, Kimera Bartee and Tom Prince that was hosted by Pittsburgh announcer Joe Block. 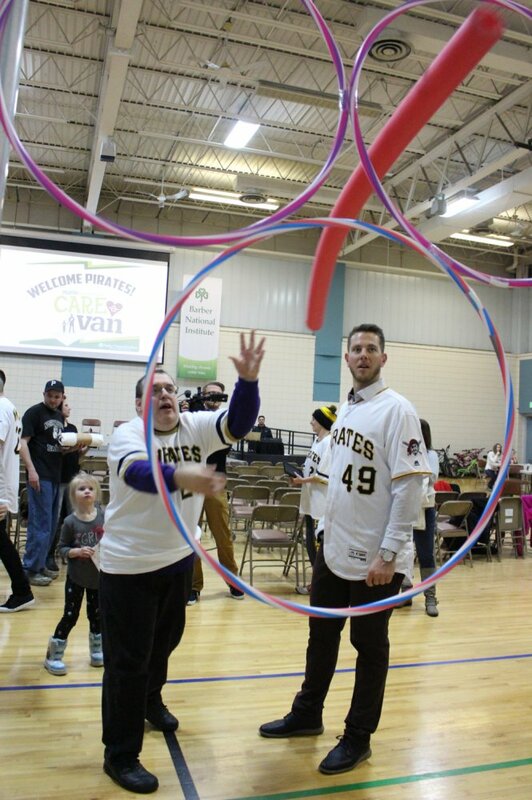 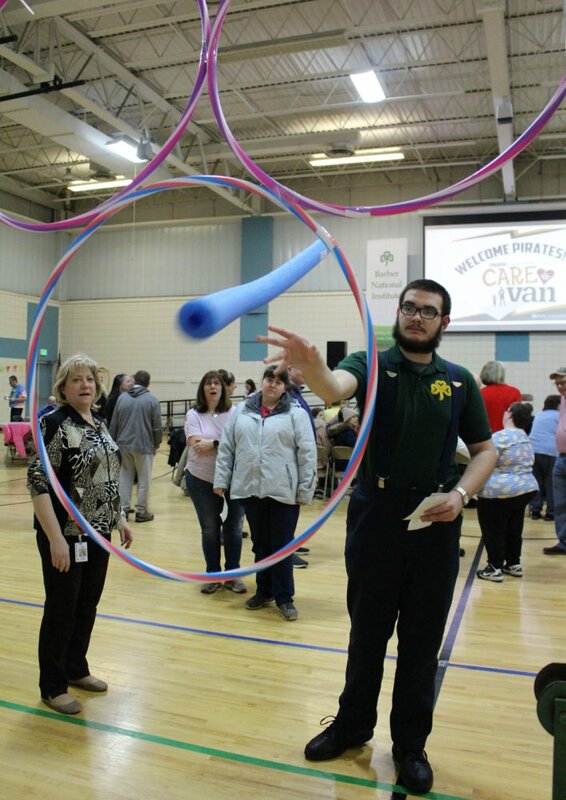 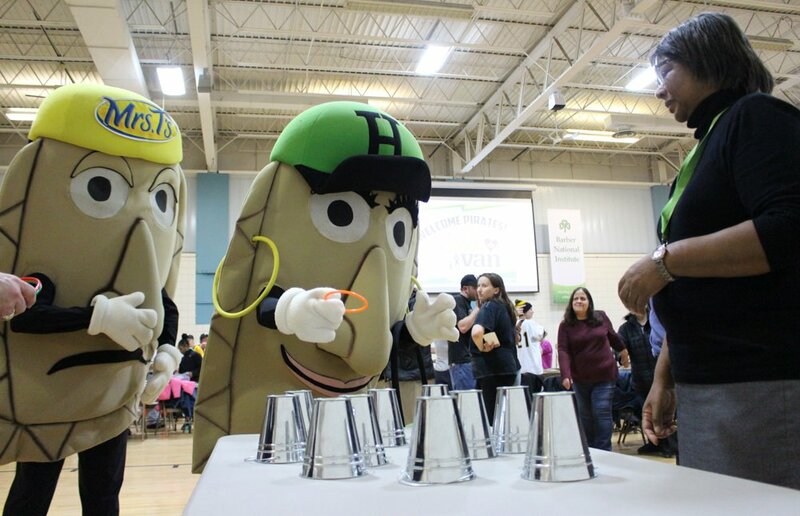 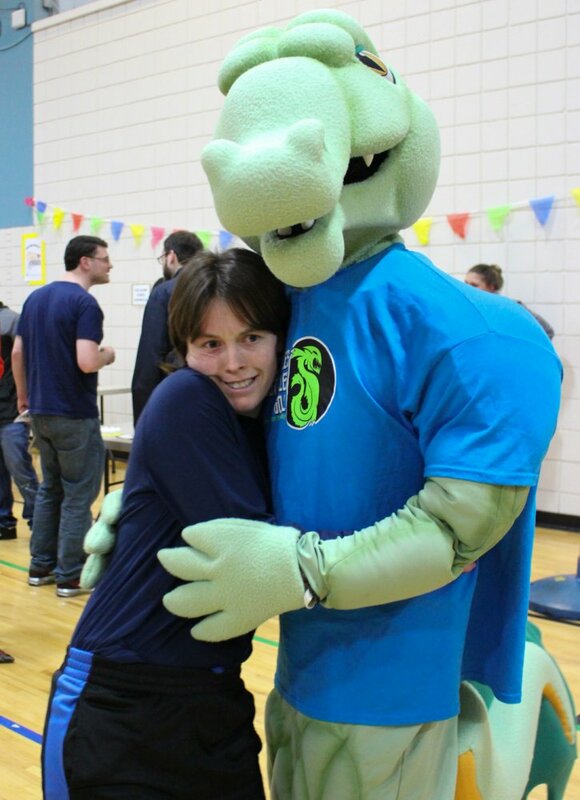 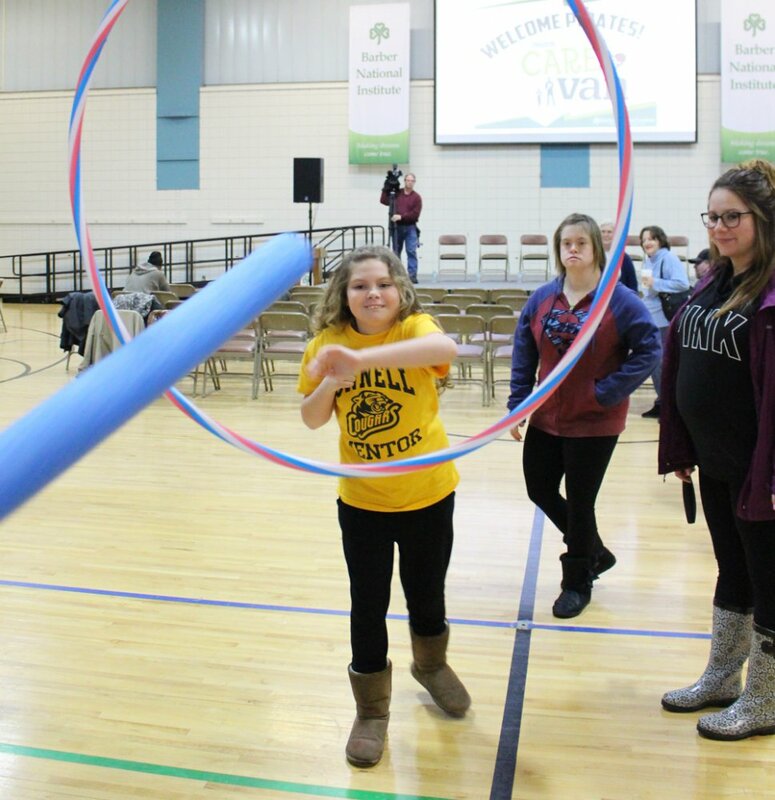 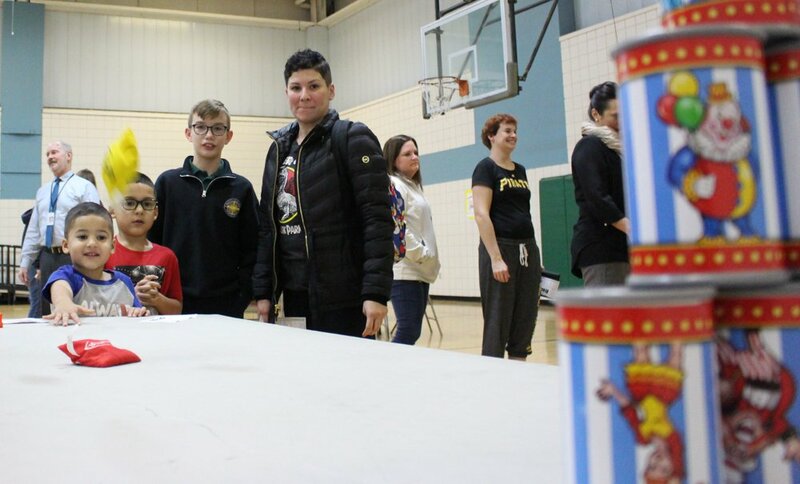 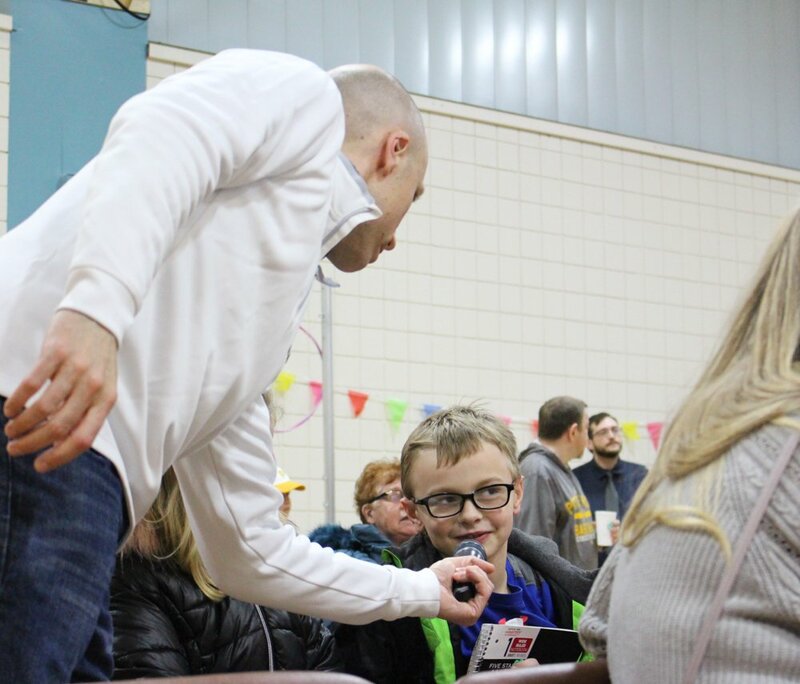 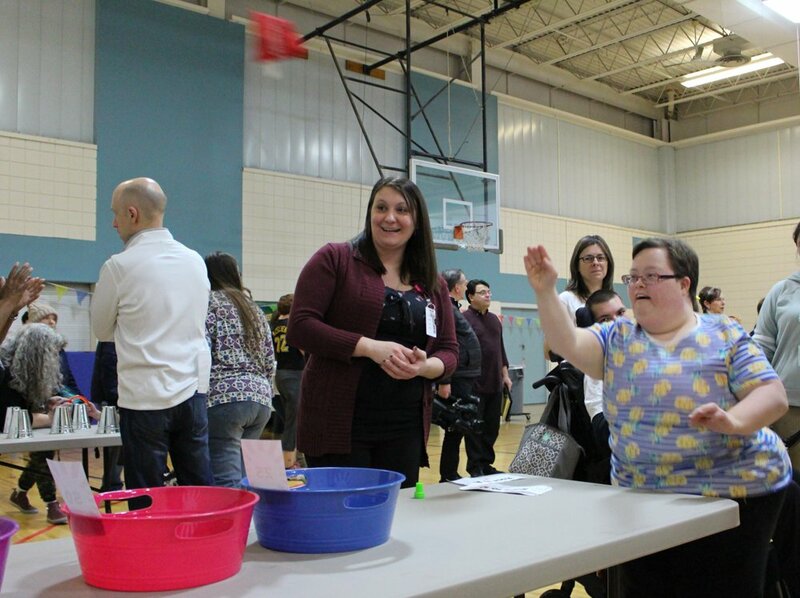 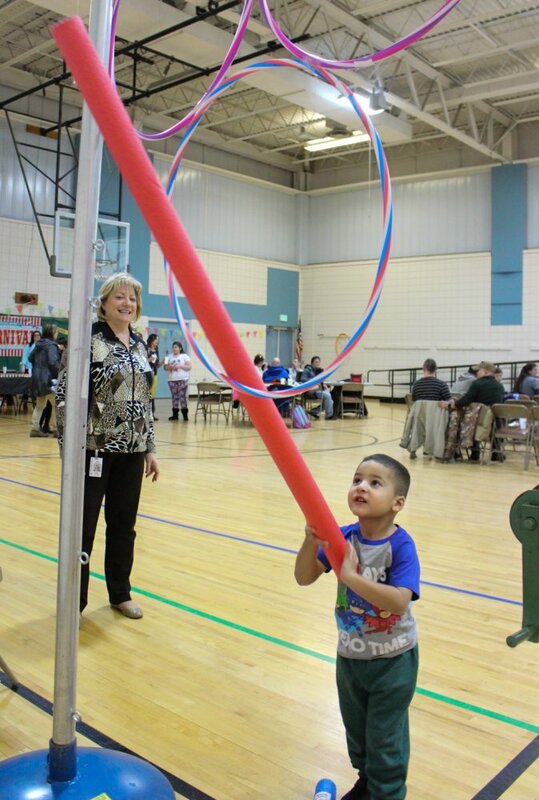 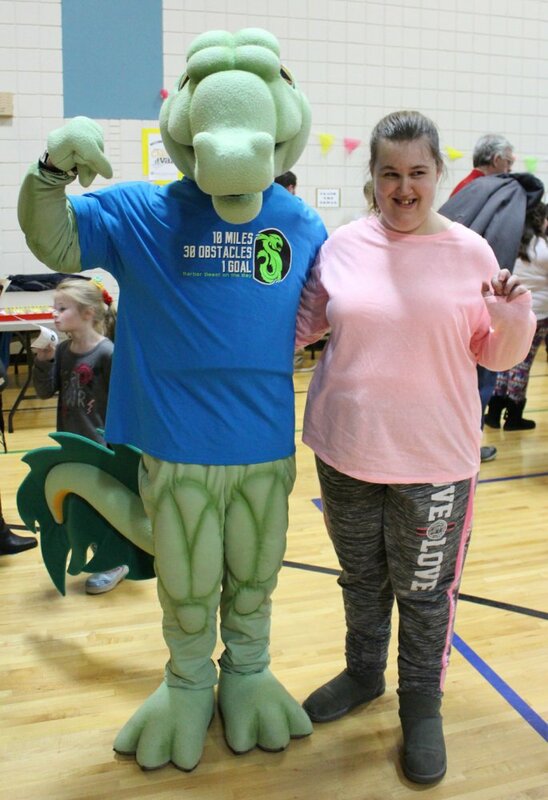 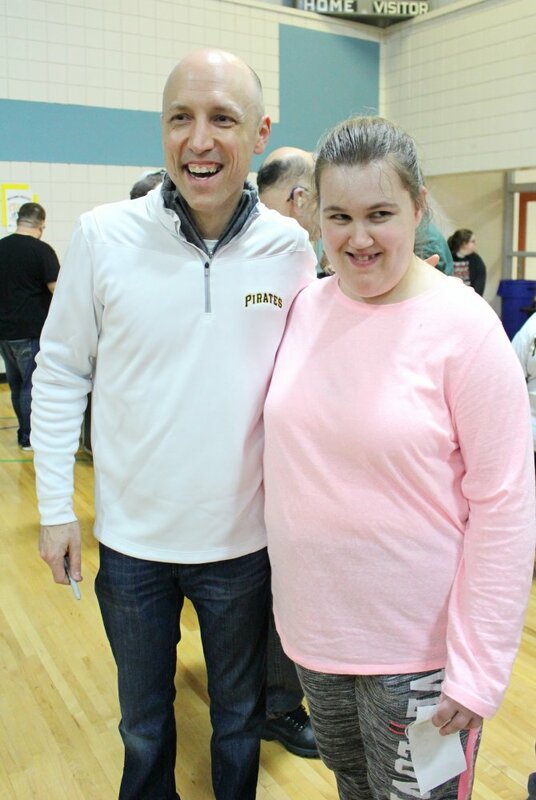 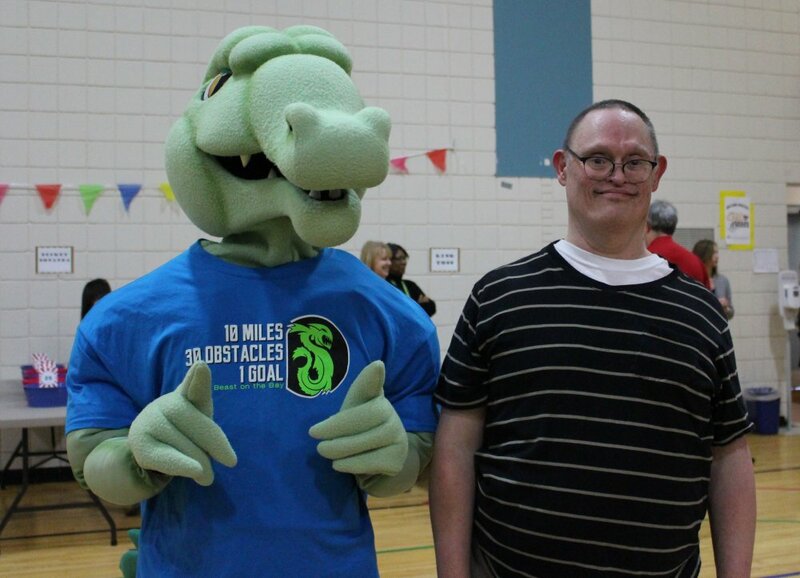 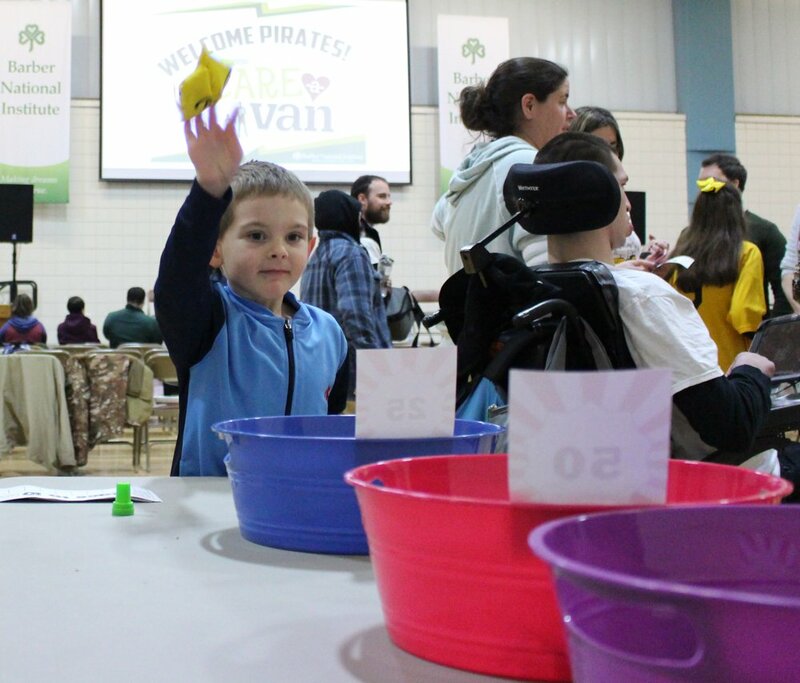 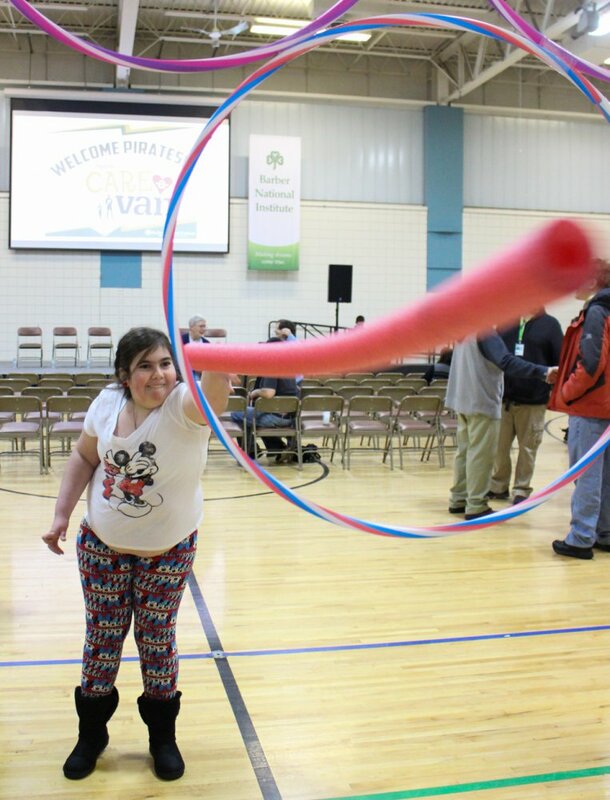 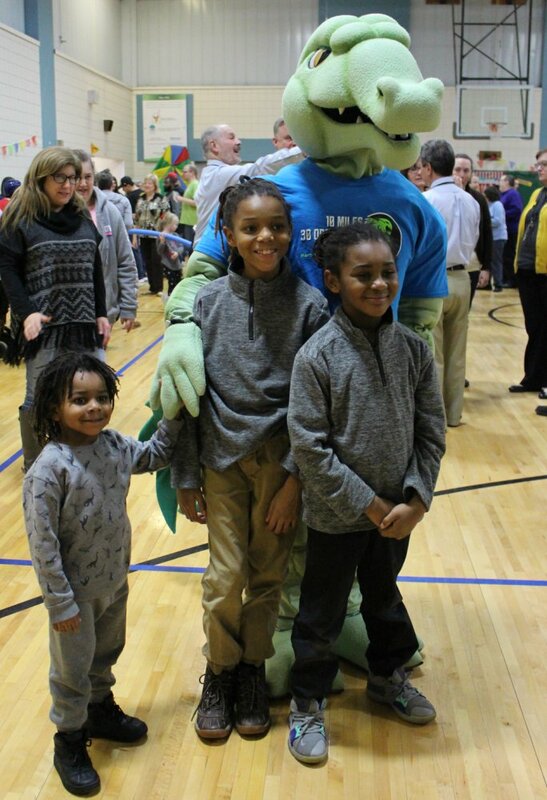 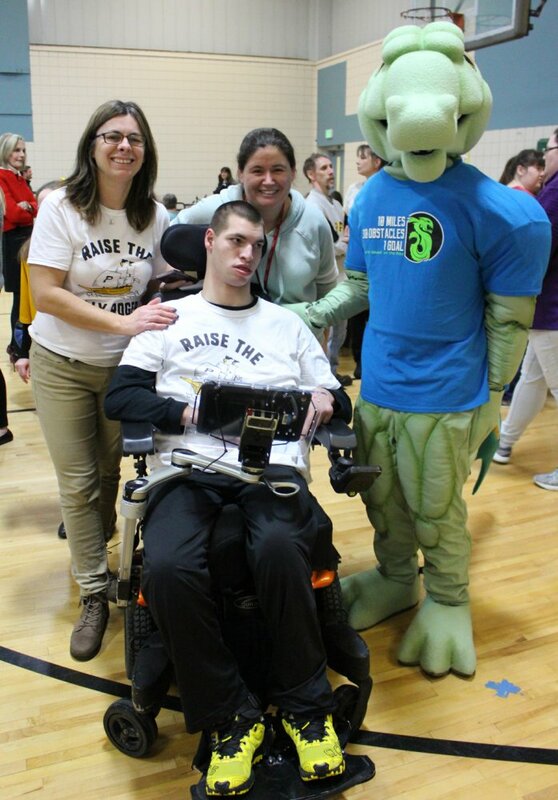 Afterwards, the team posed for photos, signed autographs and joined in carnival games that we set up in the gym. 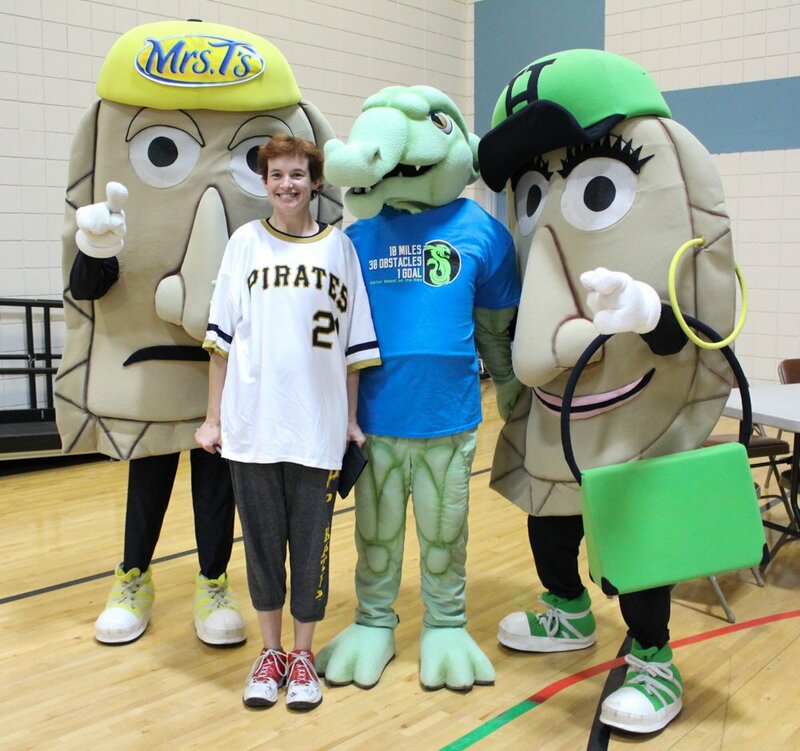 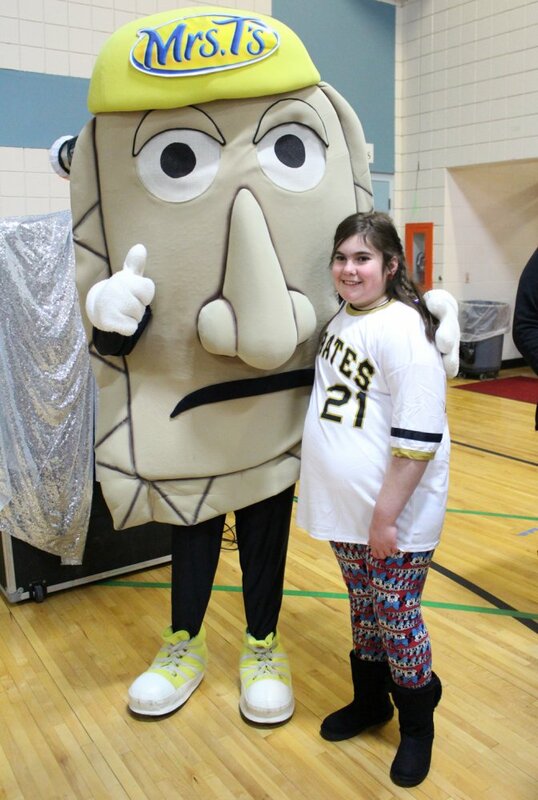 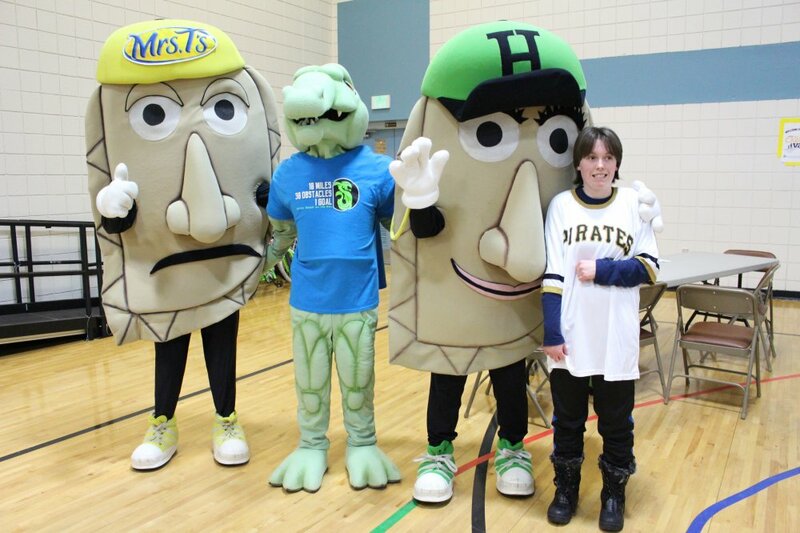 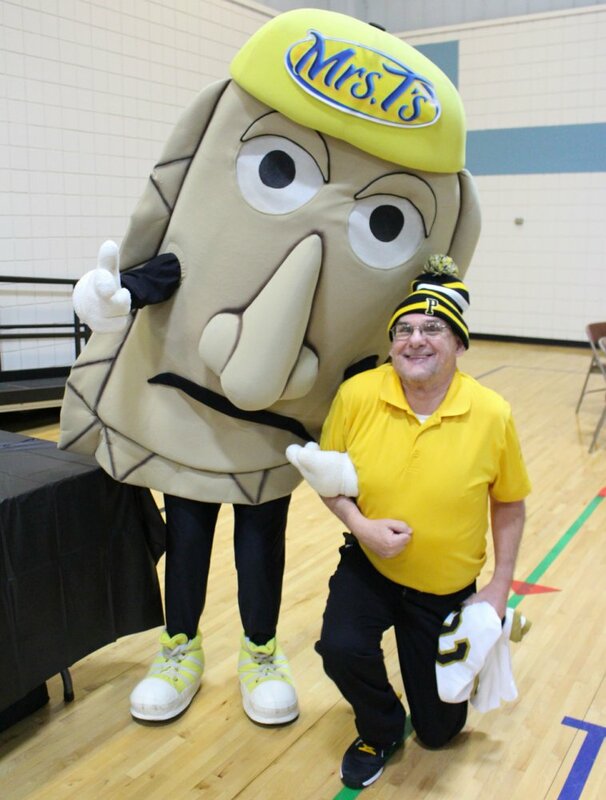 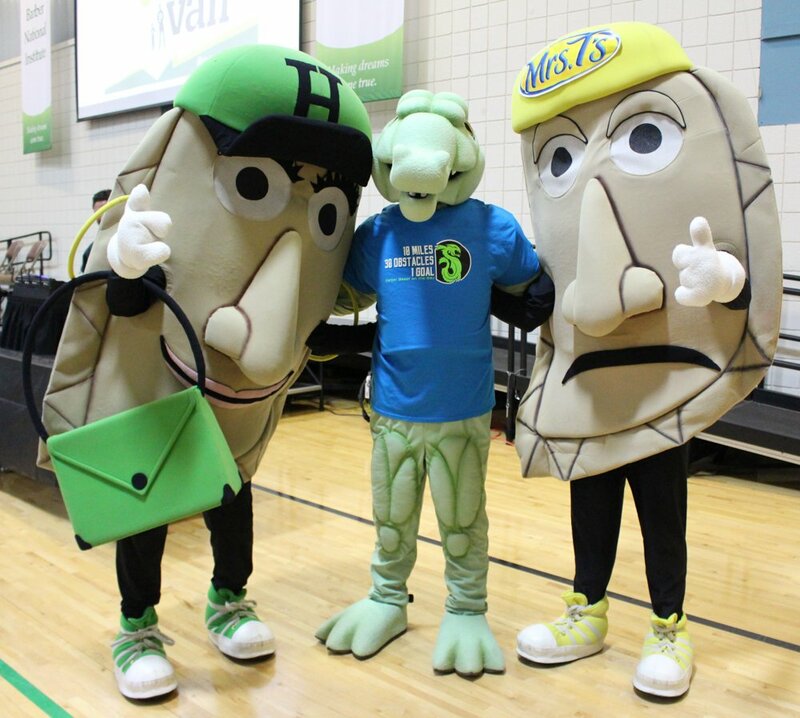 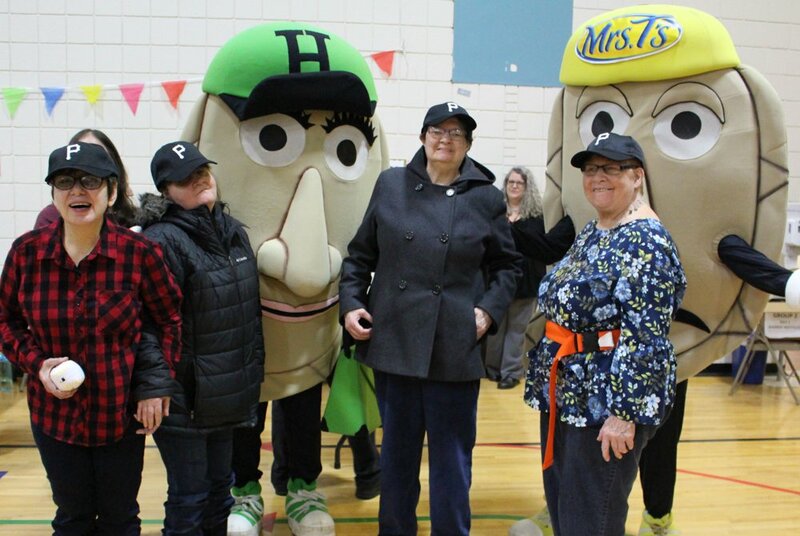 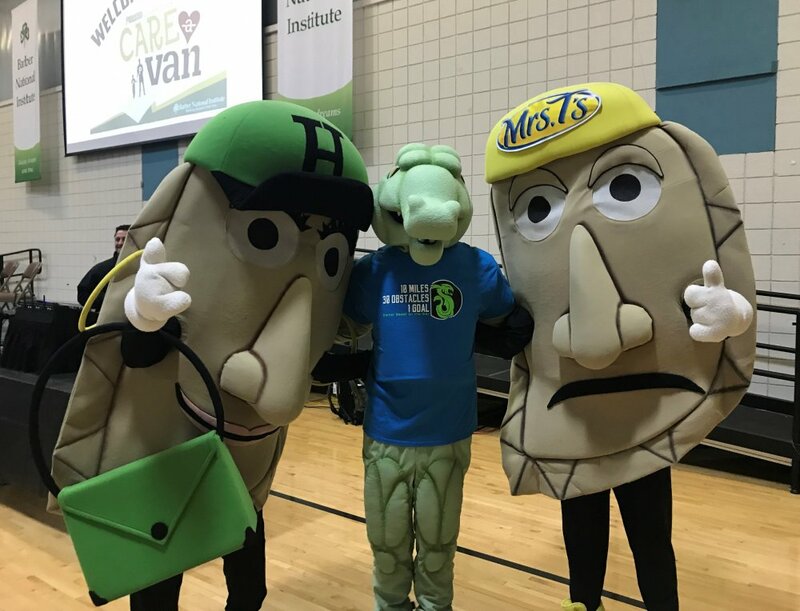 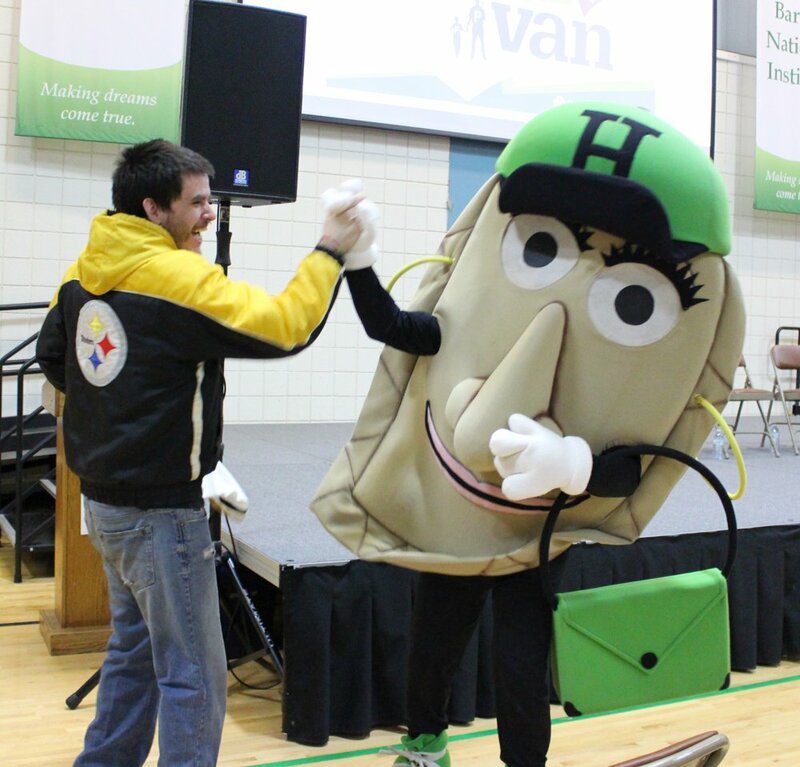 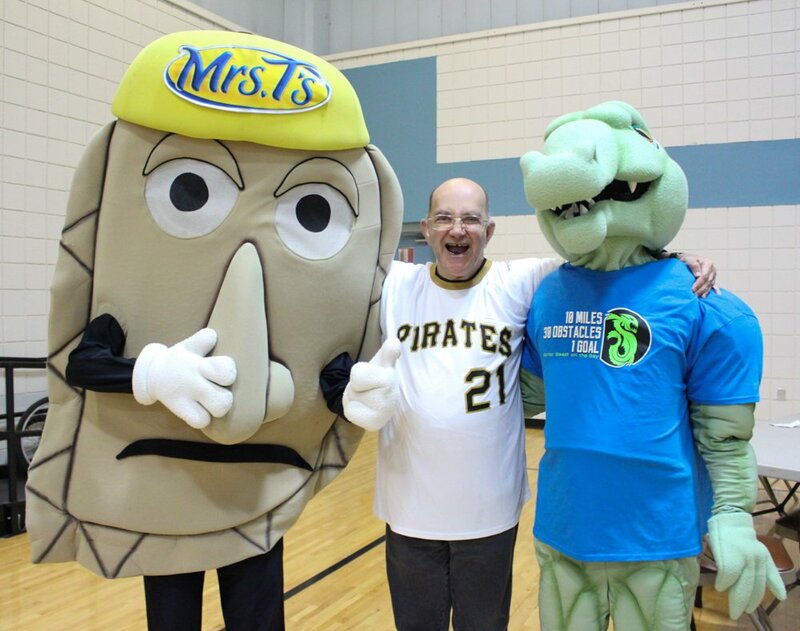 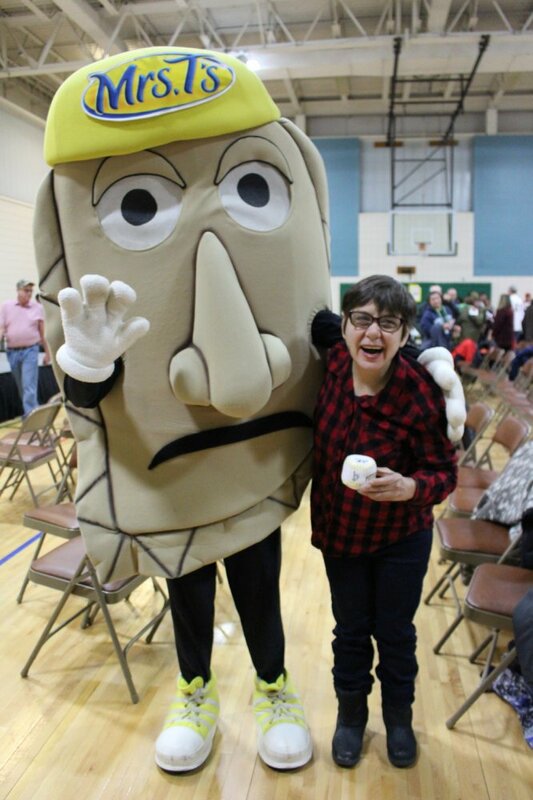 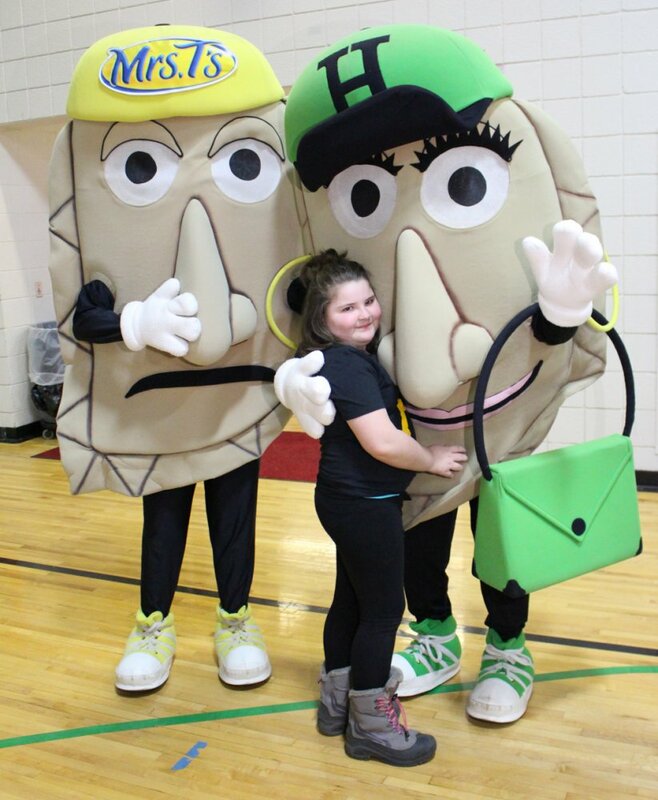 Even the team mascots, the Pirates Pierogies, were aboard for the fun!